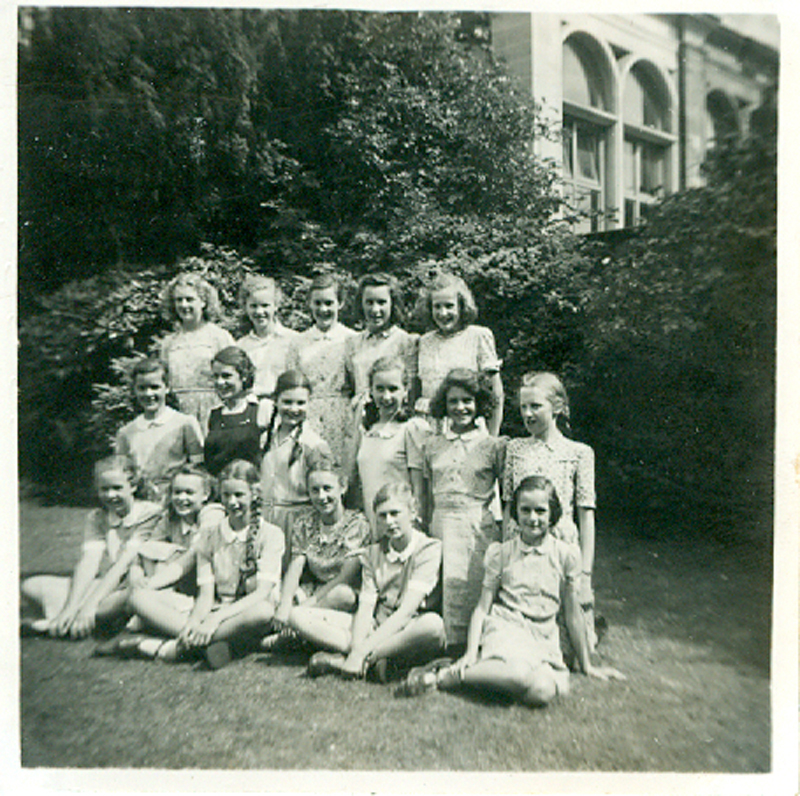 I am gradually building up a good collection of photos which I thought would be good to share on the website. 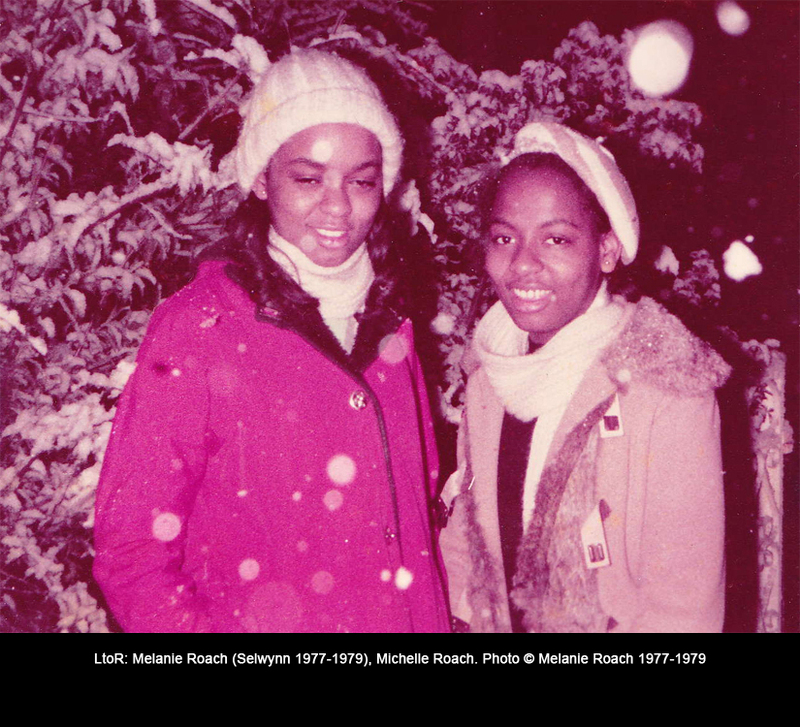 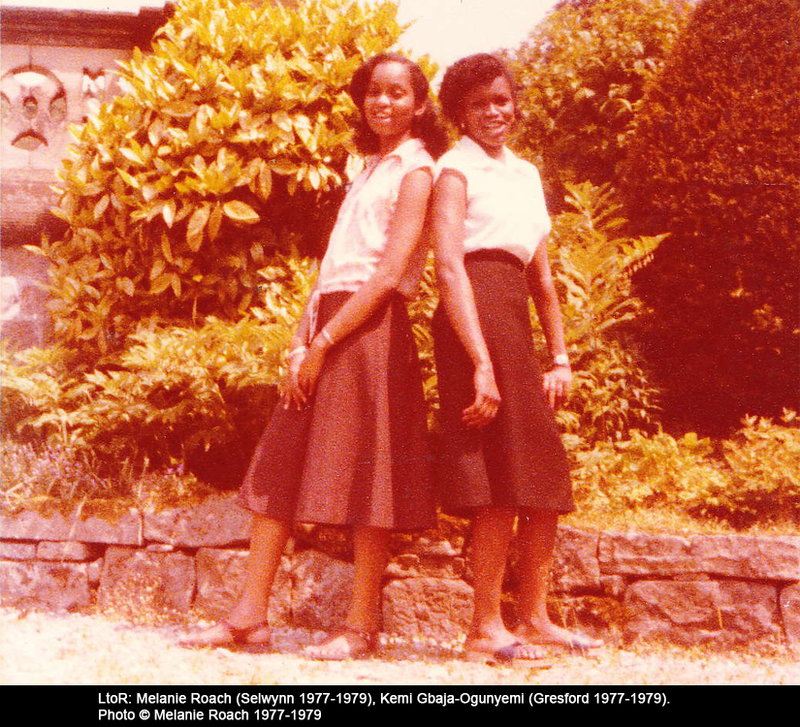 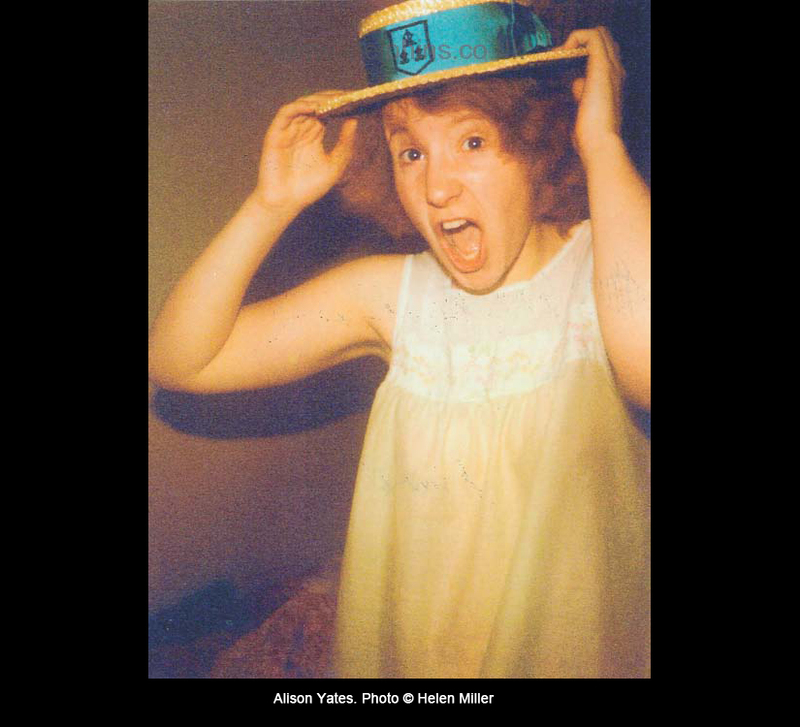 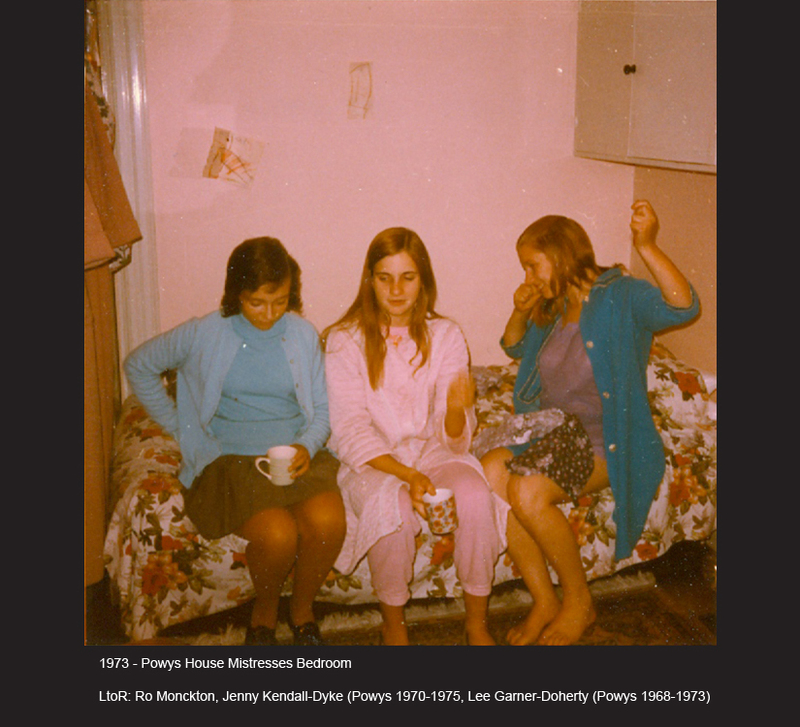 The photos are split into decades and/or specific topics. 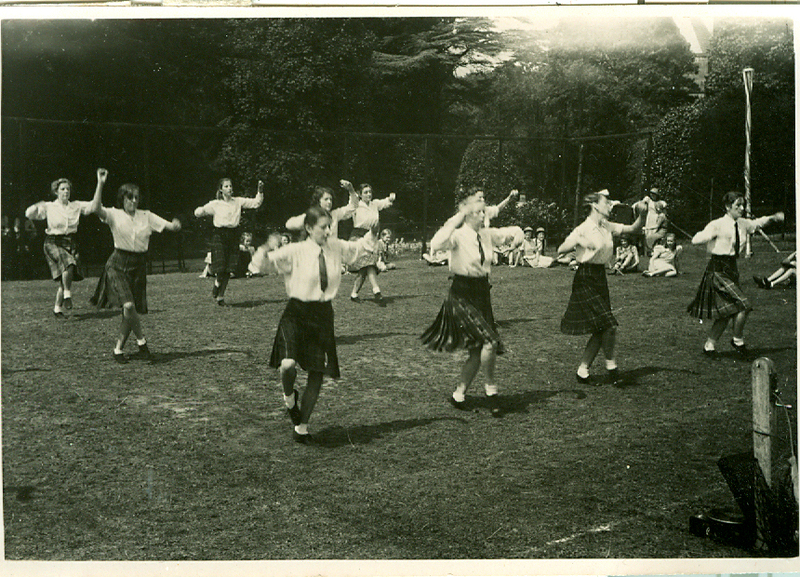 Unfortunately a number of the photos aren't labelled and we have been unable to identify the dates they were taken. 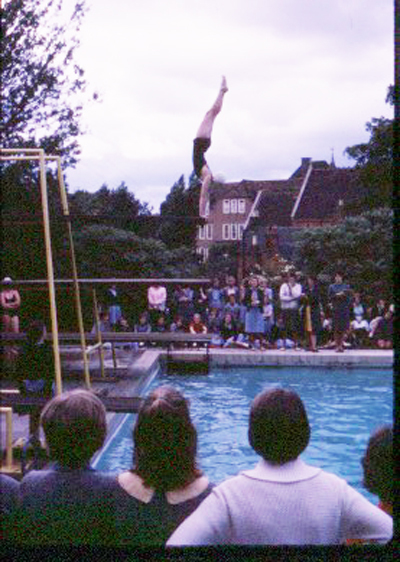 There are a mixture of professional and amateur photographs and although a number of the latter are not high quality, I thought it would still be nice to share them. 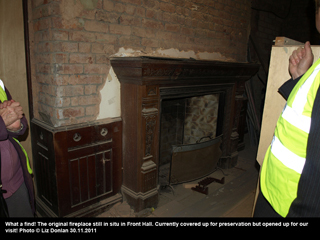 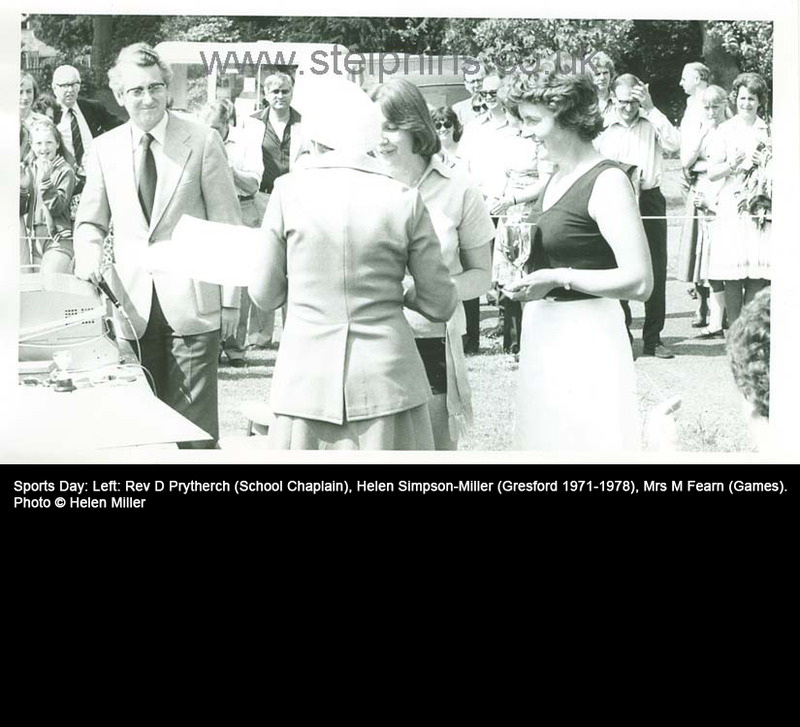 If anyone is able to confirm the dates or details of any of the photos published please let me know. 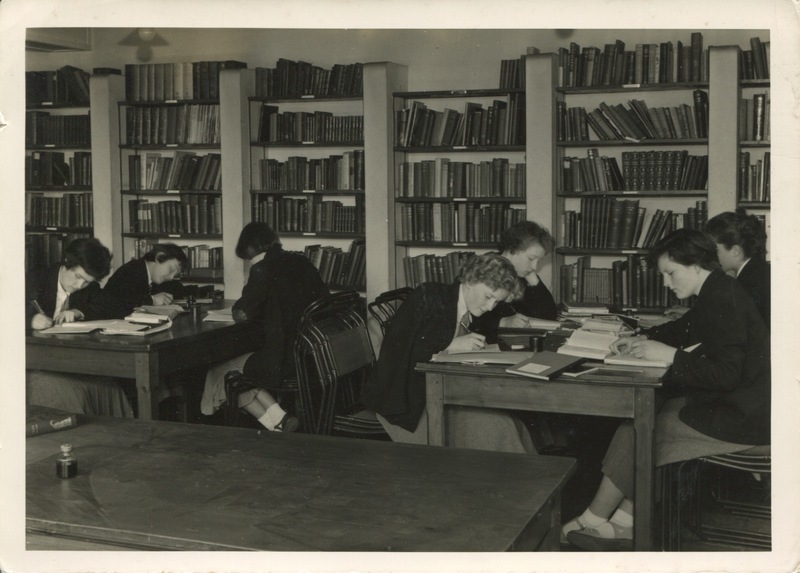 In the meantime, until dates are identified, they will be placed in the miscellaneous category. 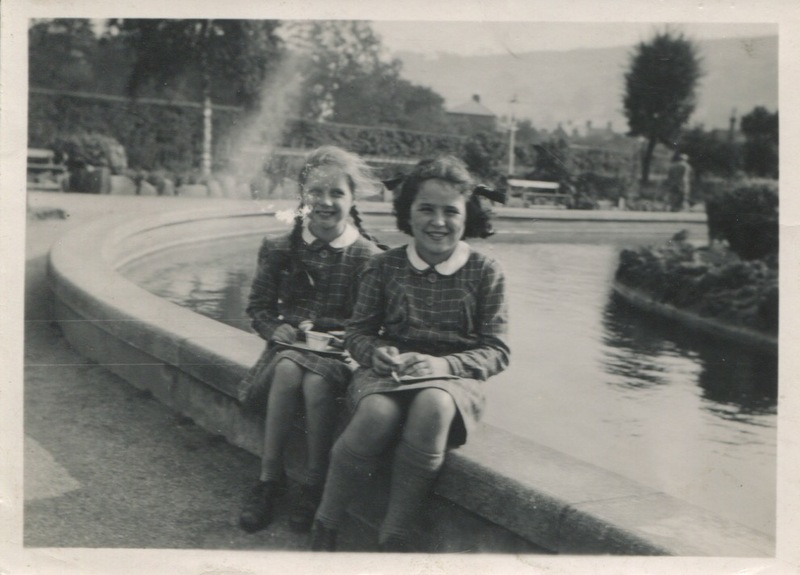 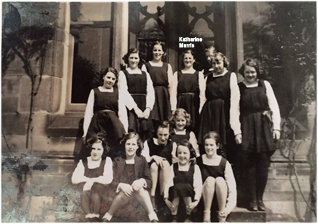 We are very grateful to Juliet Wise for providing the photos below of when her Mum, Katharine (Kay) Marris, was at St Elphin's in the late 1930s. 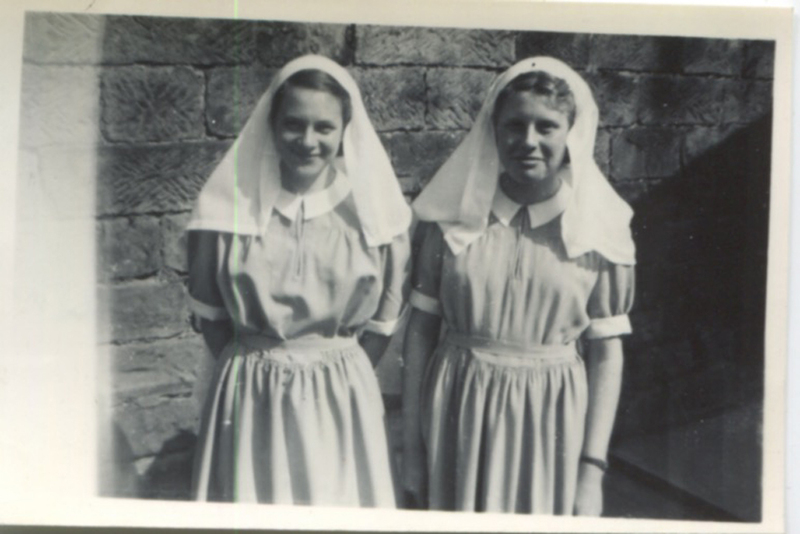 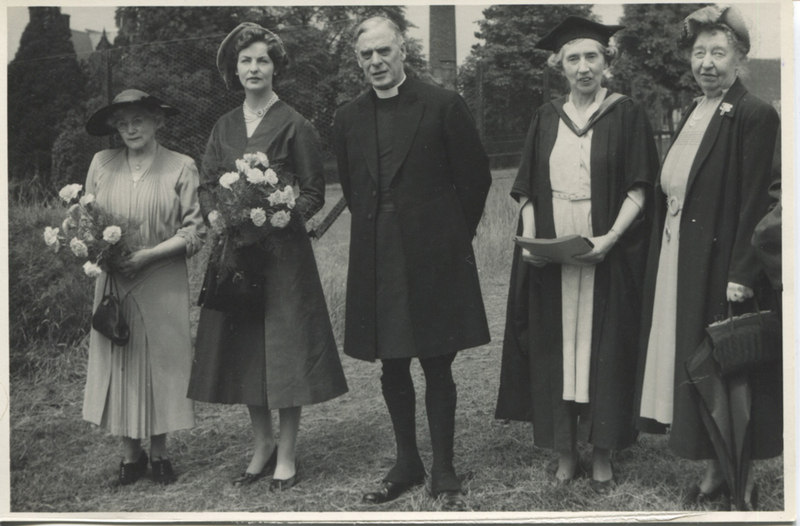 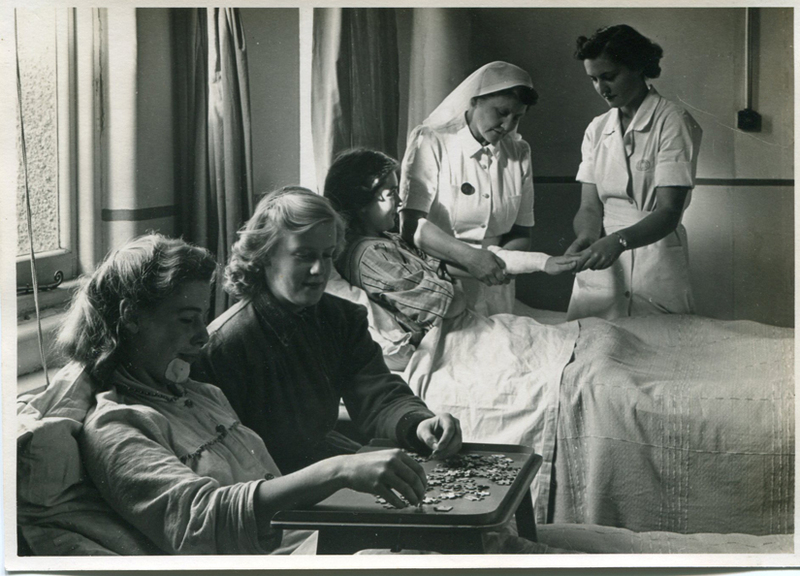 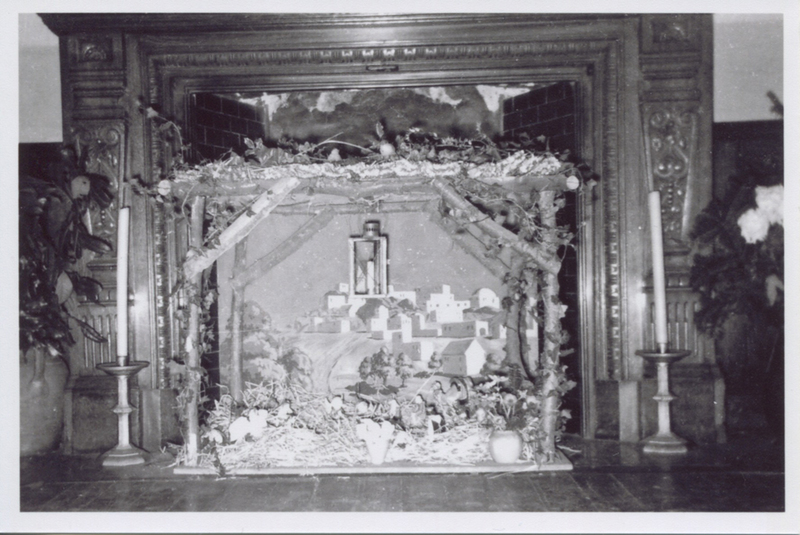 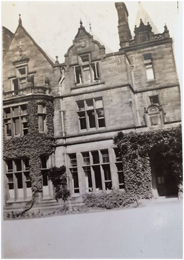 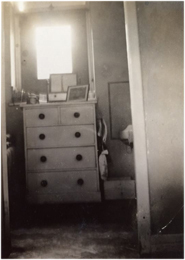 Below: Photos supplied by Helen Wright-Jay who was at St Elphin's from 1948 to 1959 in Selwyn House. 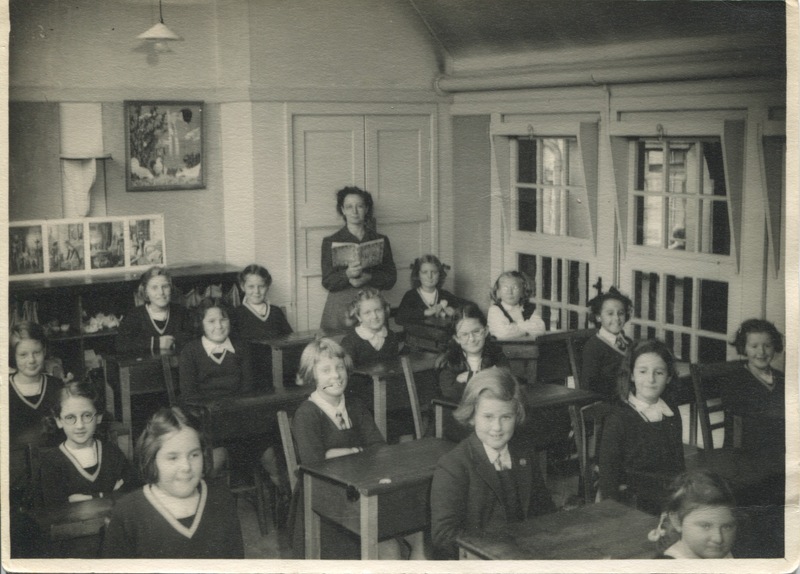 She had both Miss Stopford and Miss Robinson as her Head Mistress. 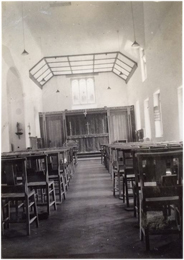 Below: Photos supplied by Helen Wright-Jay who was at St Elphin's from 1948 to 1959 in Selwyn House. 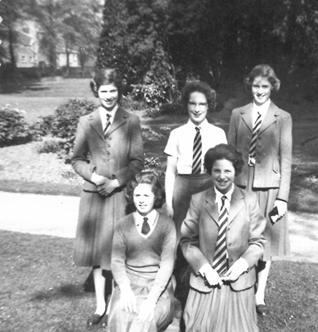 She had both Miss Stopford and Miss Robinson as Head Mistress. 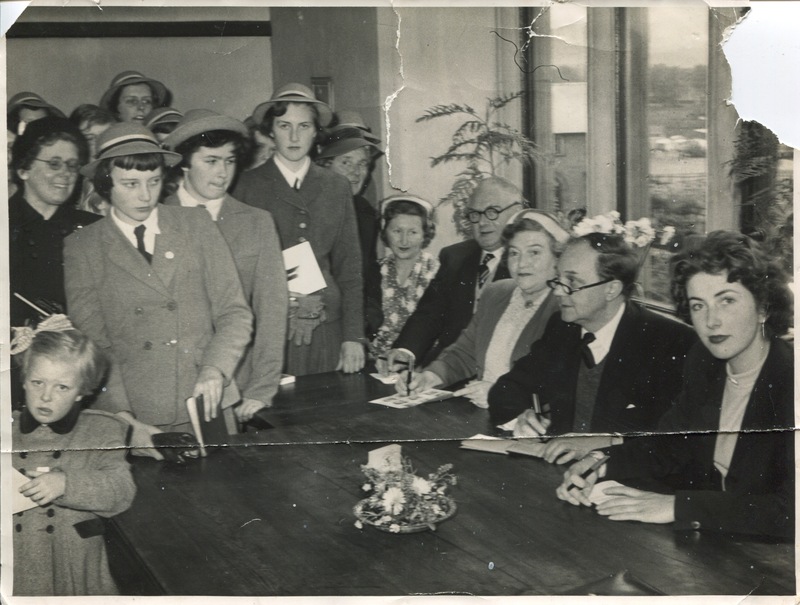 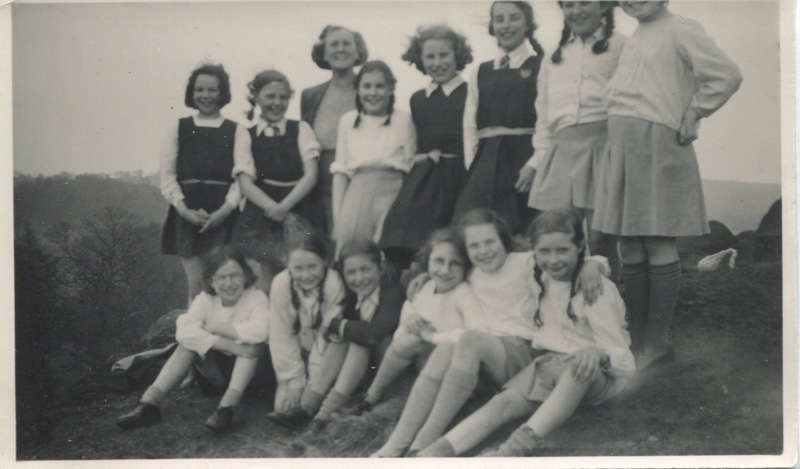 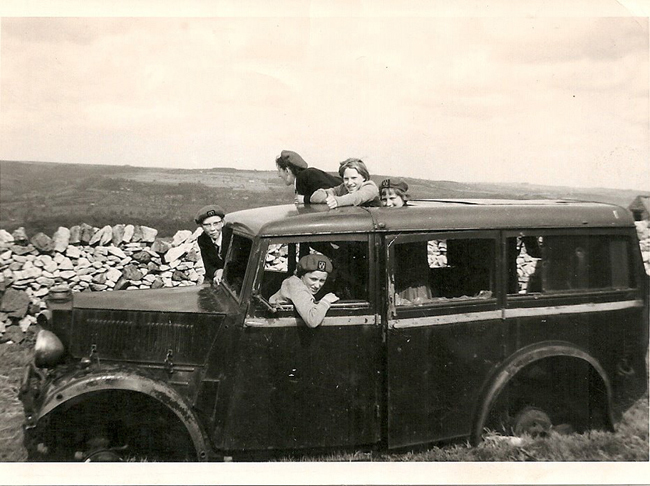 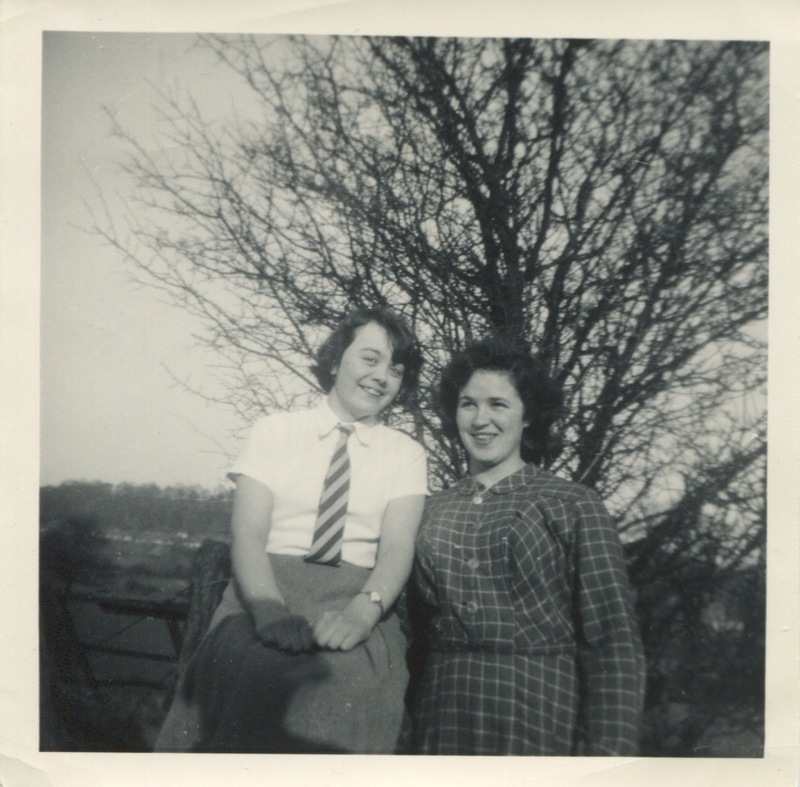 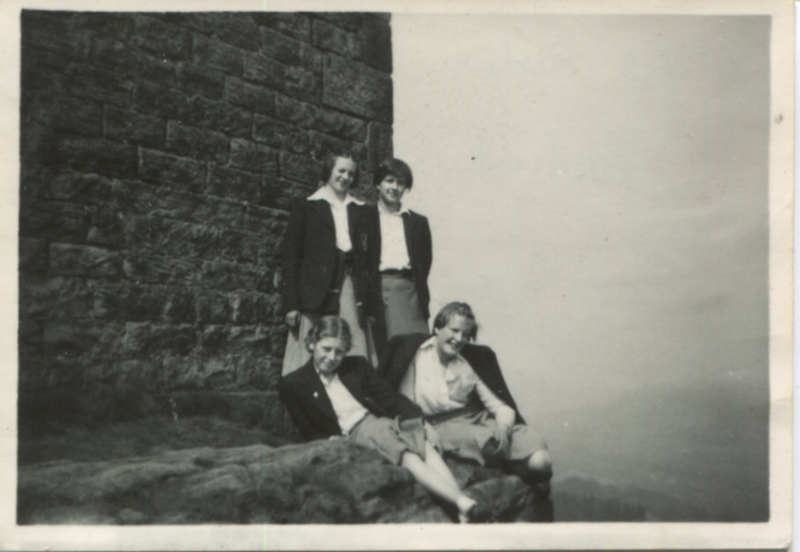 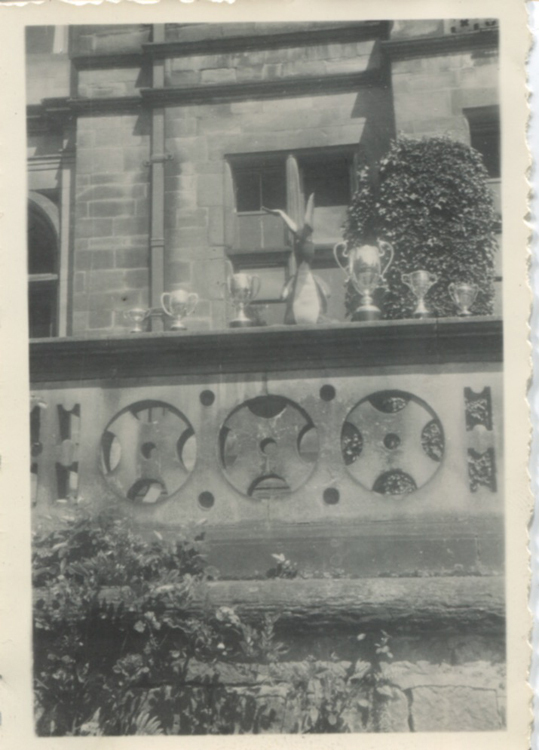 Below: 1949/50 - The following photographs have been sent in by Ruth Wallhead (nee Parsons) and Joan Wynne (nee Parsons) who were both at St Elphin's. 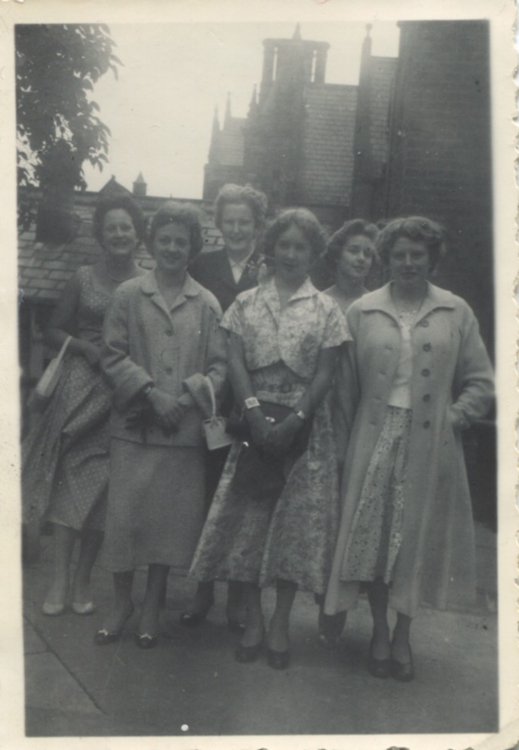 Some of the photographs are the old 6cm x 6cm size – I have scanned them in as large as possible, without reducing the quality too much. 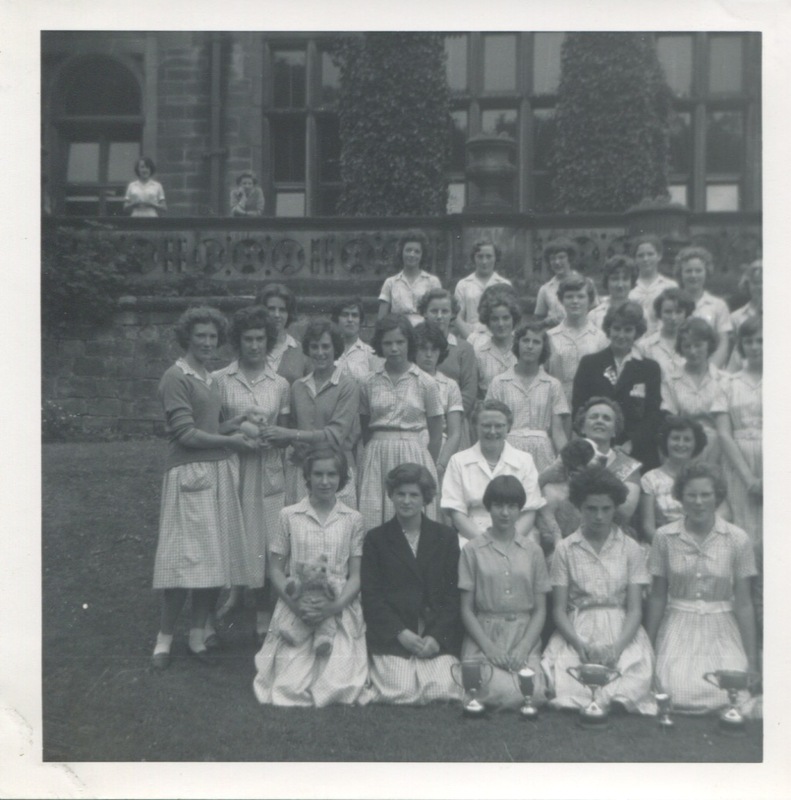 Below: 1949/50 The first four photographs were kindly supplied by Kathryn Dickens of some of the 1950s classrooms and the last three by Ruth Parsons-Wallhead. 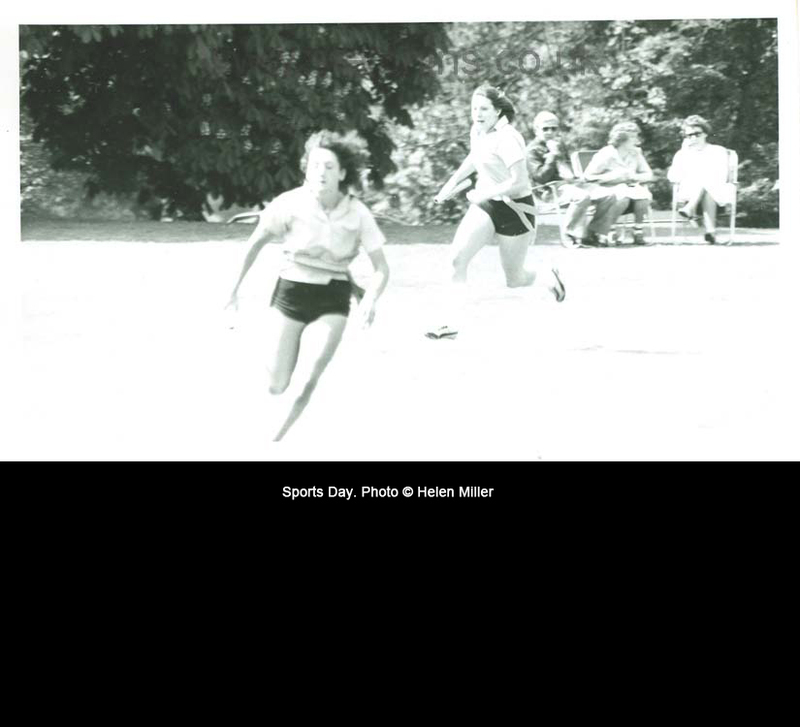 Photos: H-B News Features. 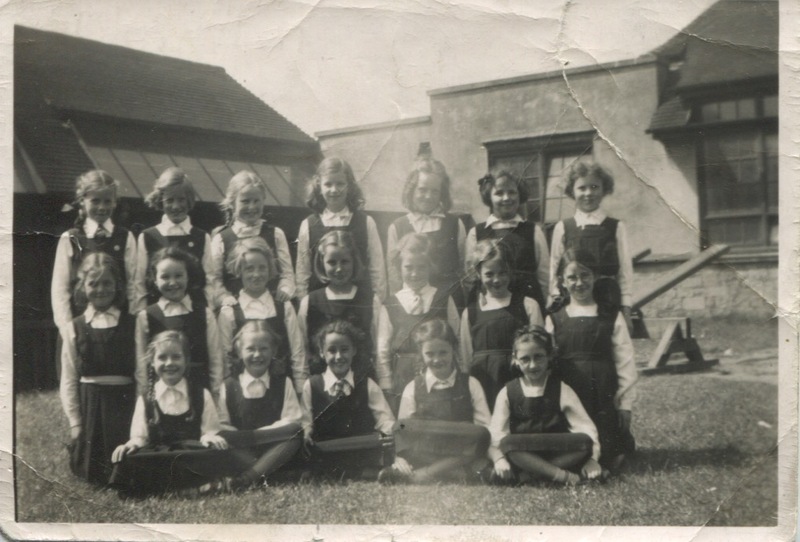 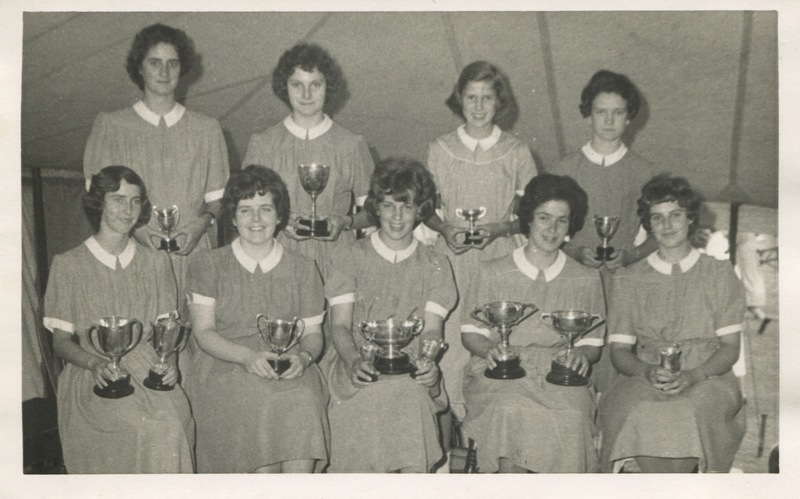 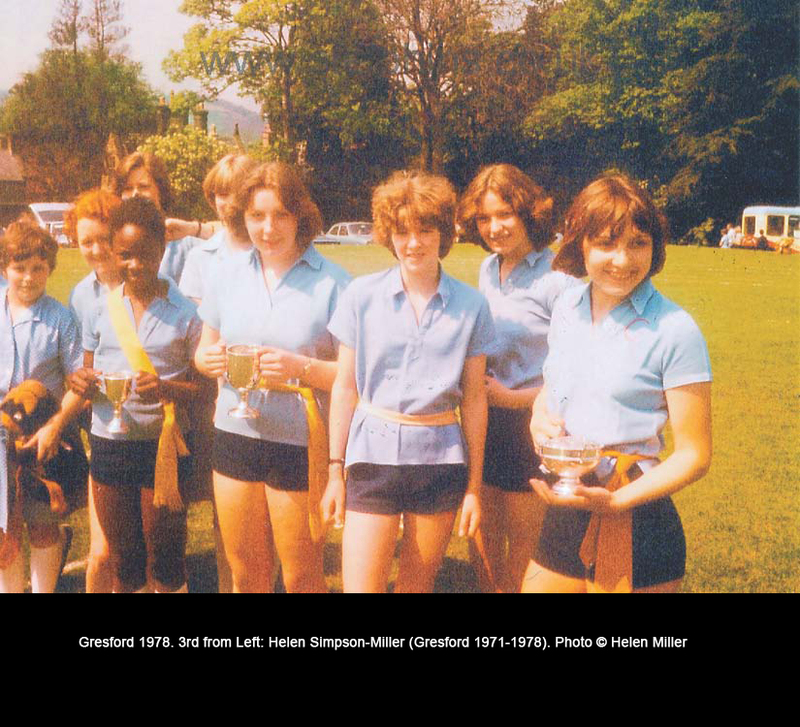 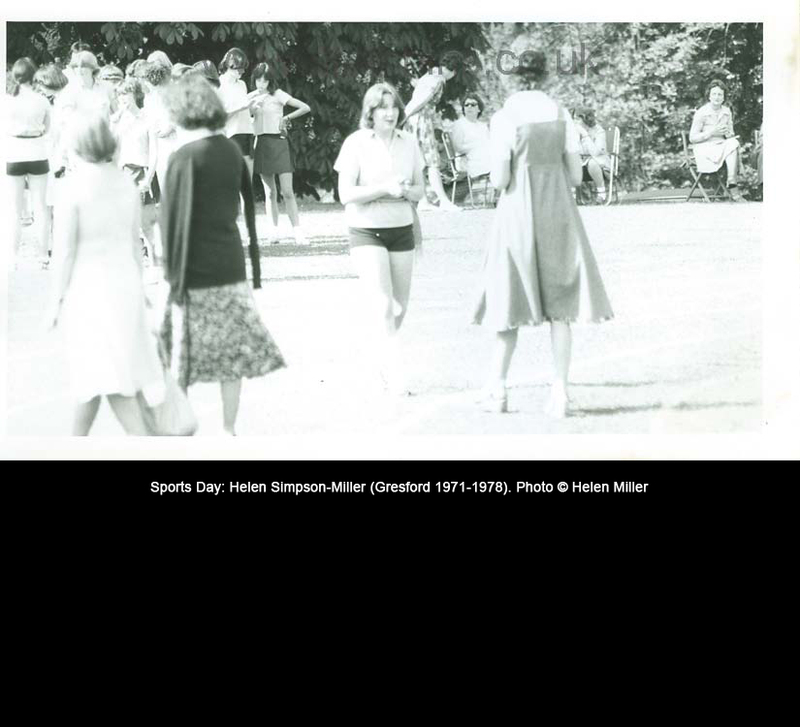 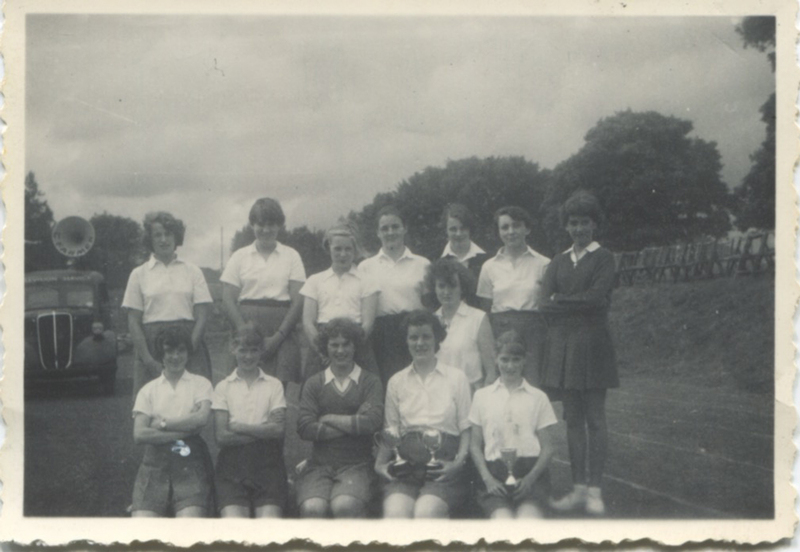 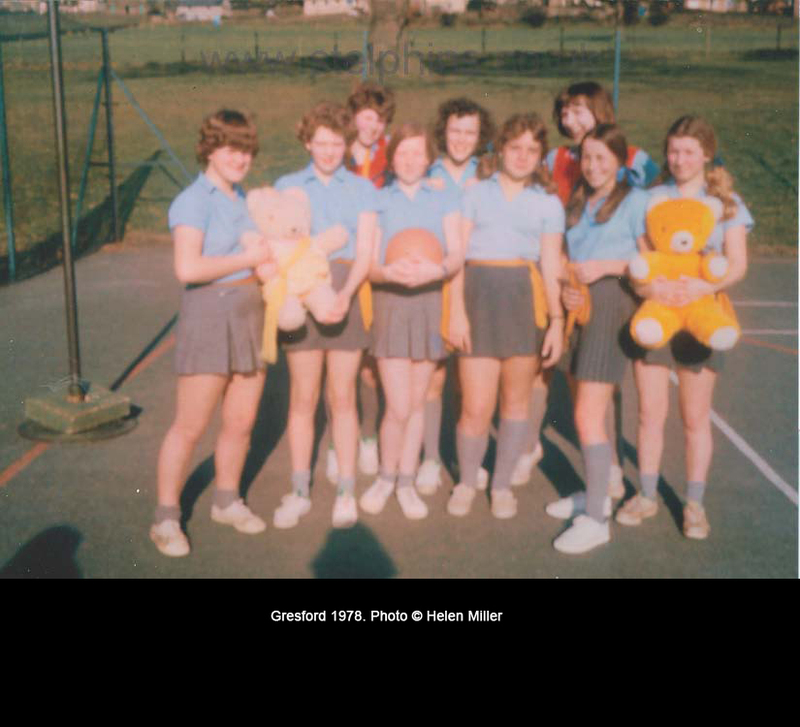 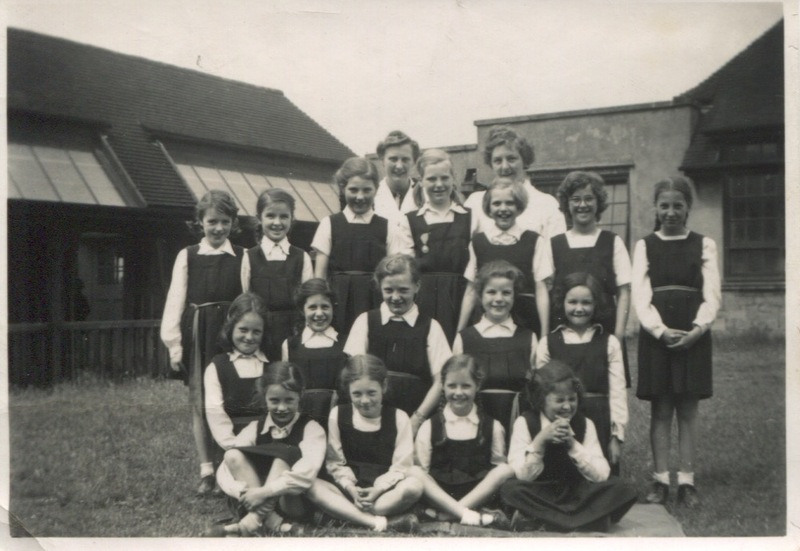 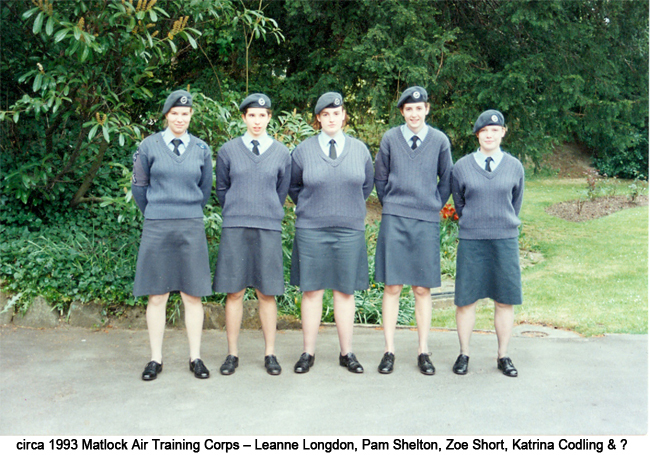 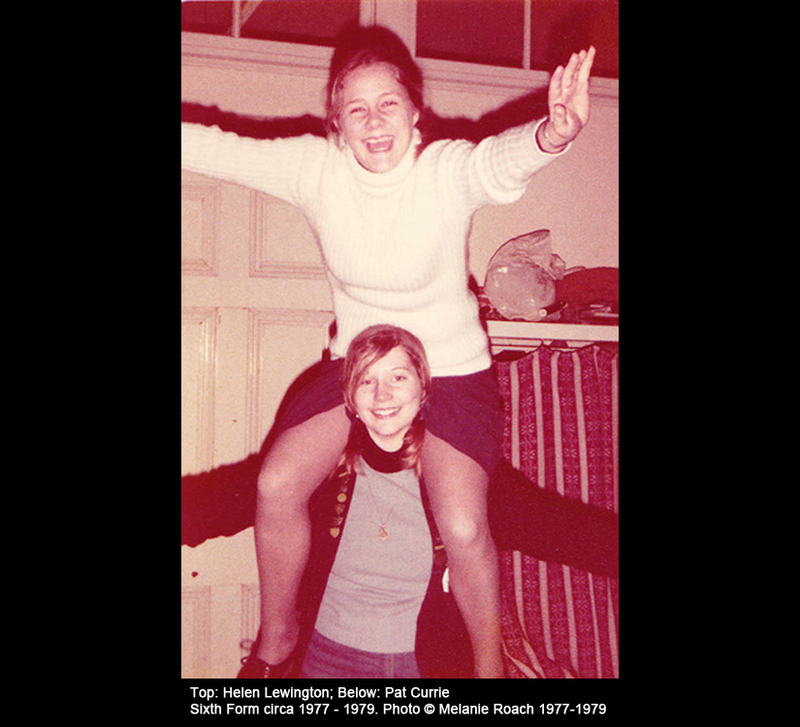 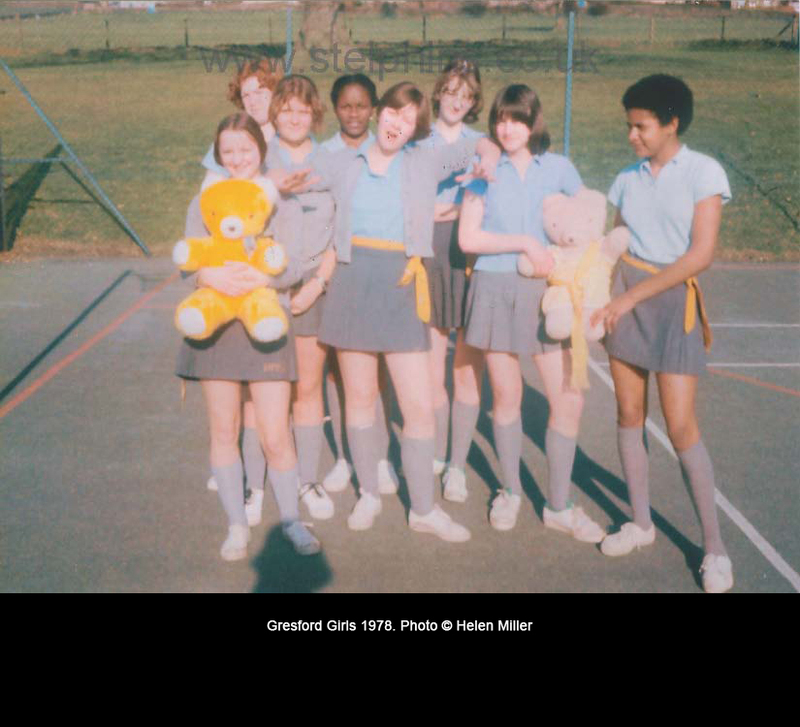 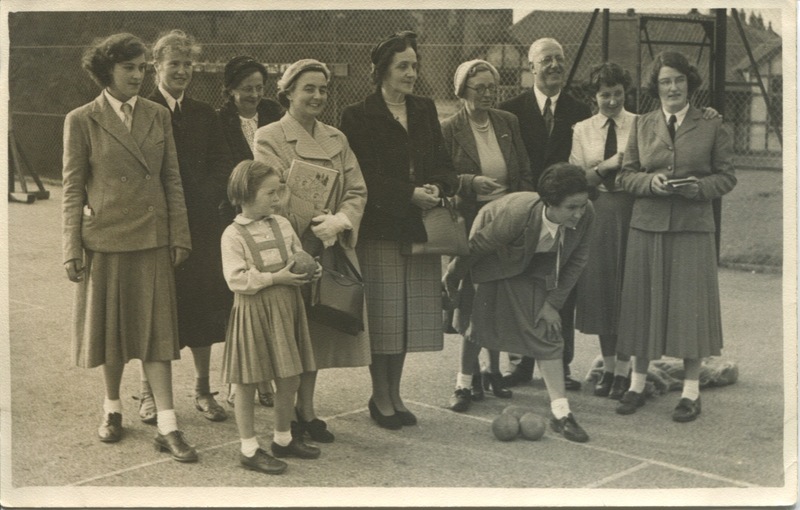 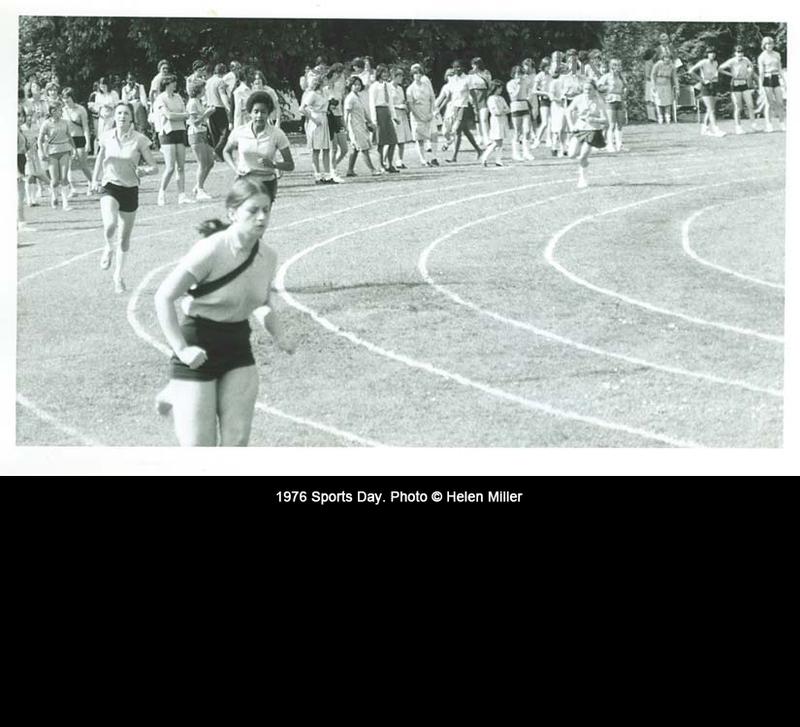 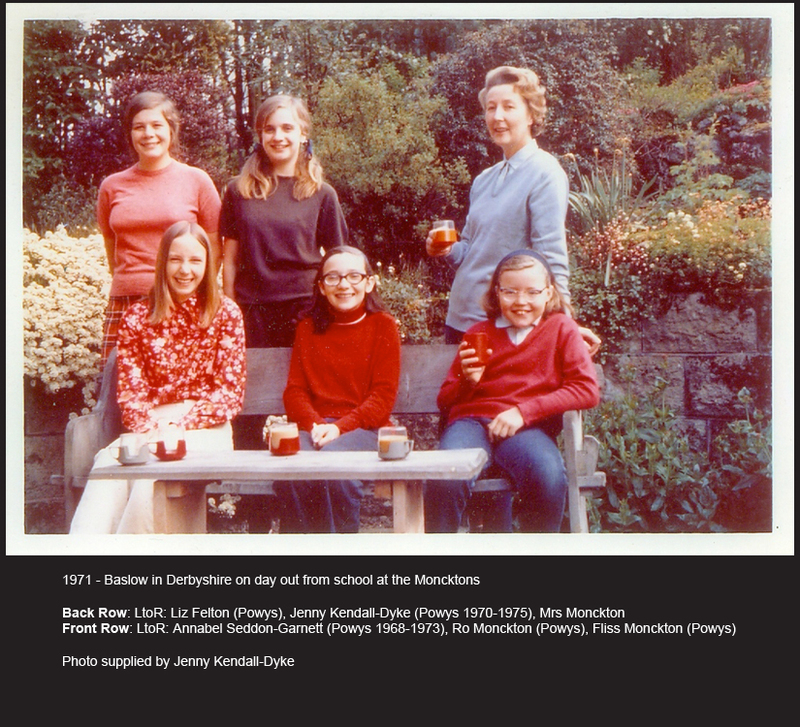 Thanks to Pat Kitching (nee Blake) who has managed to identify the girls on the 3rd photo who are wearing their everyday gym tunics. 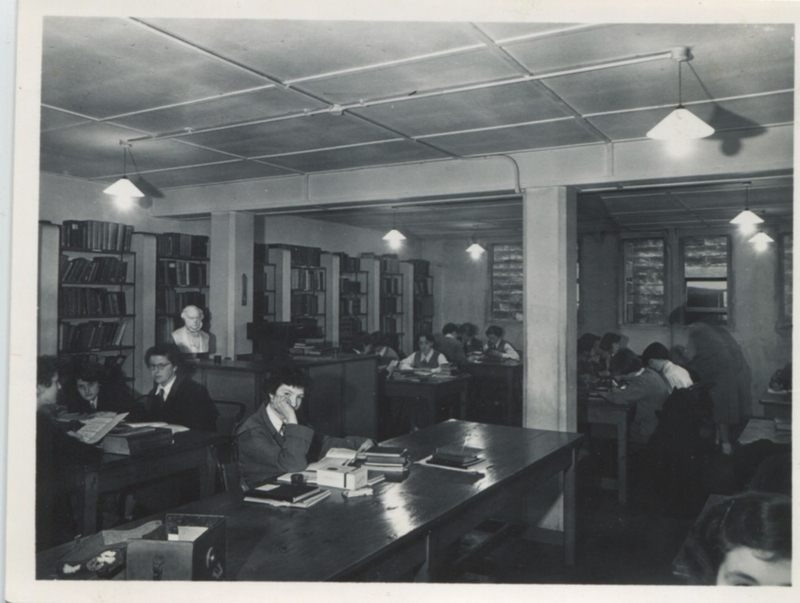 The photo was taken in approximately 1949 and is the class of Upper VA with Miss Lloyd in the library. 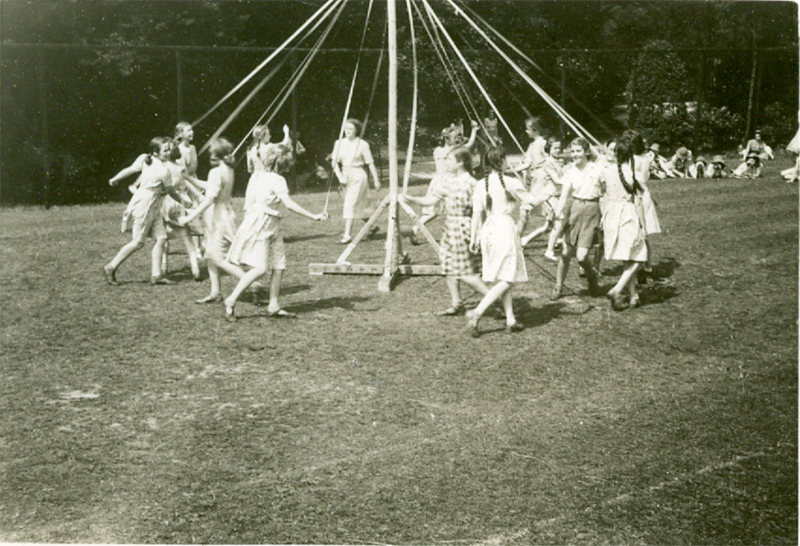 1950 - Maypole Dancing! 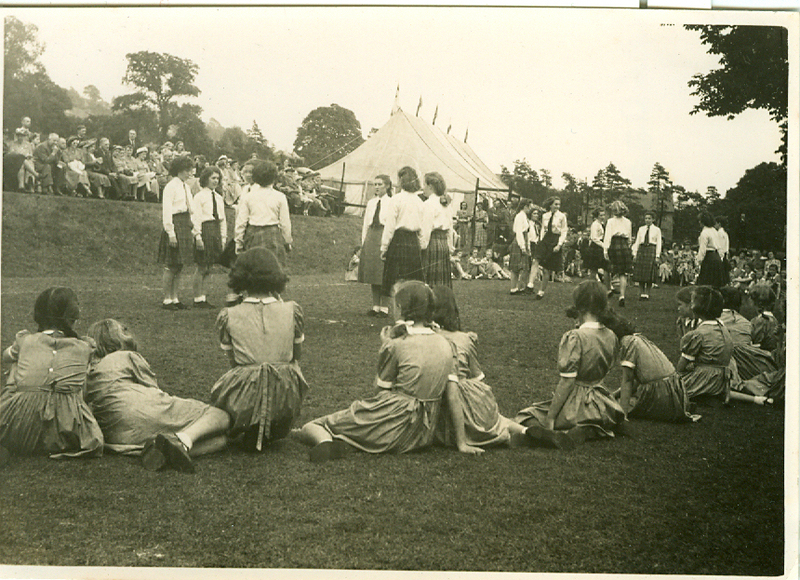 It's interesting to note how activities, subjects, outings etc all changed over the years. 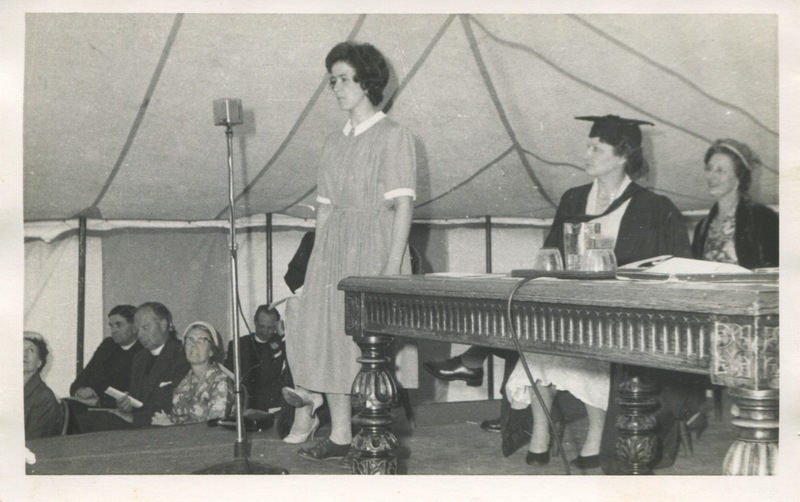 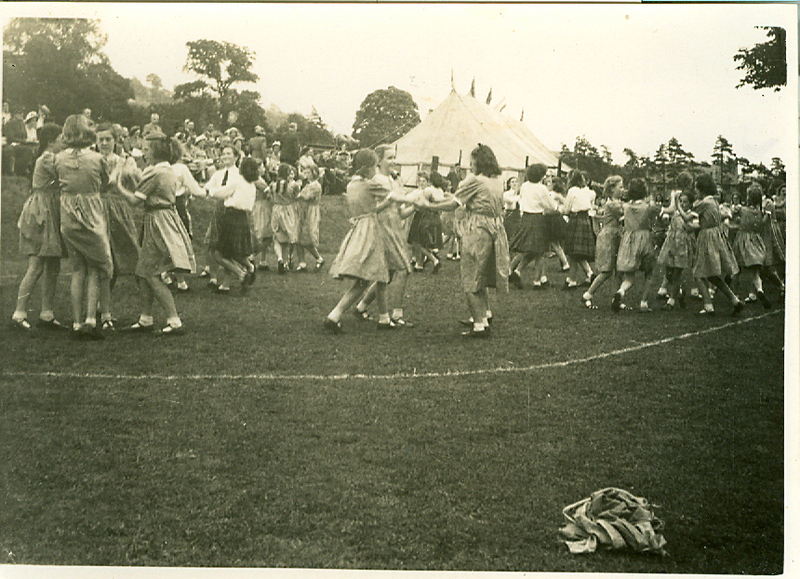 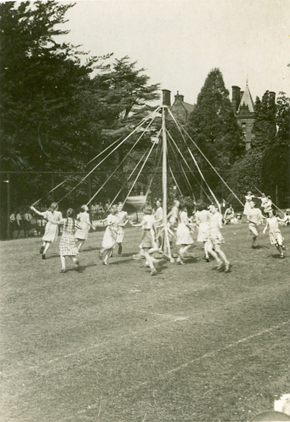 Below are two photographs from Sallie Hitchen-Gedye of some Maypole dancing which she thinks were taken on Speech Day c1950. 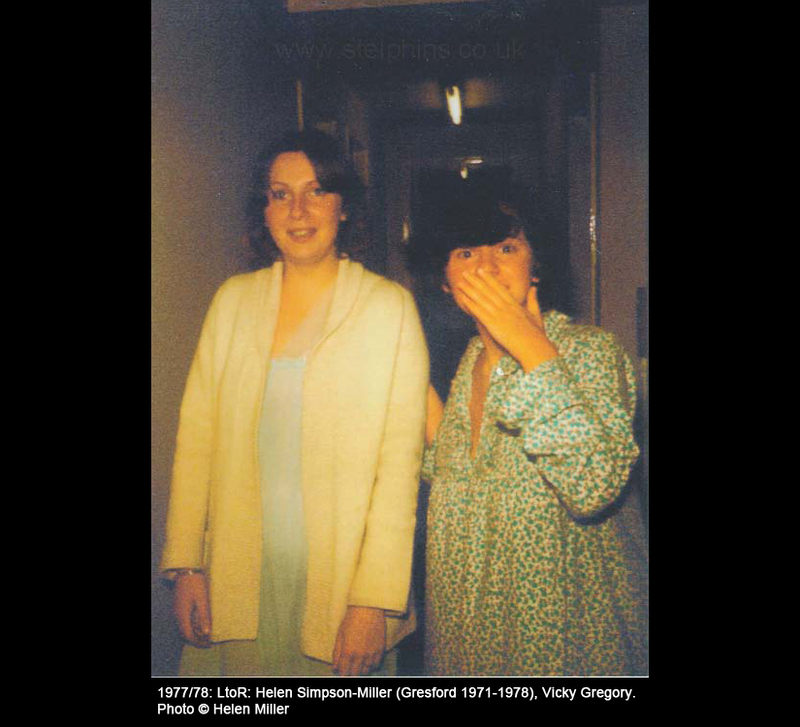 Please click on images to enlarge. 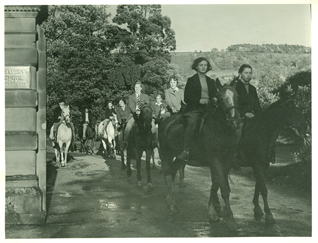 Below: 1952 - 1958 – Photos supplied by Joyce Elgar-Walsh. 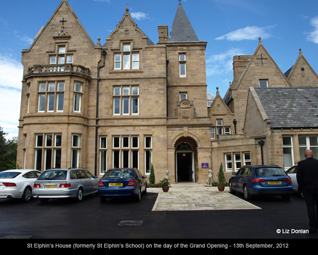 Joyce thinks she first started at St Elphin's in 1951. 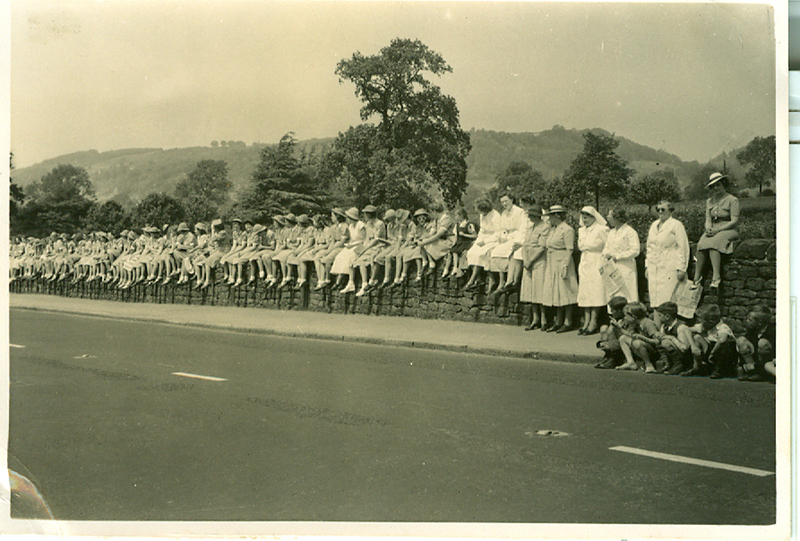 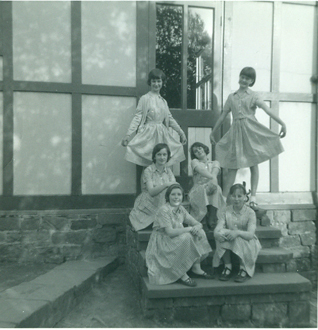 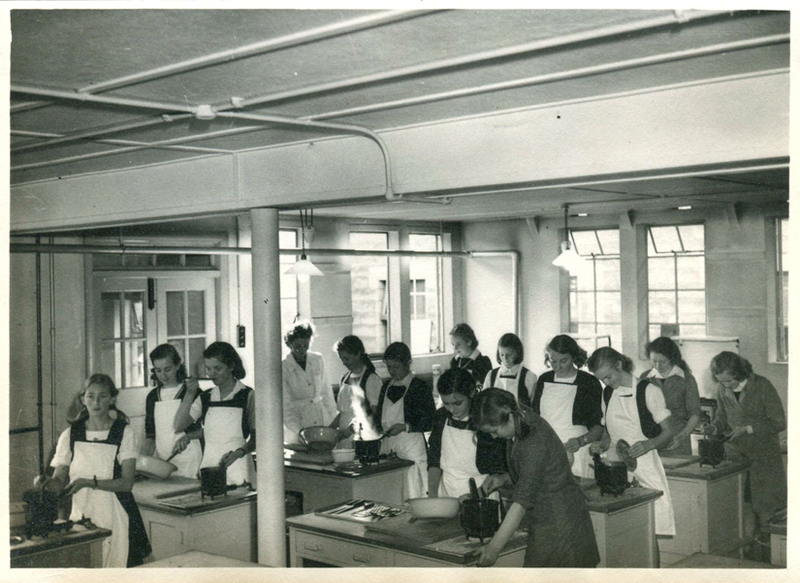 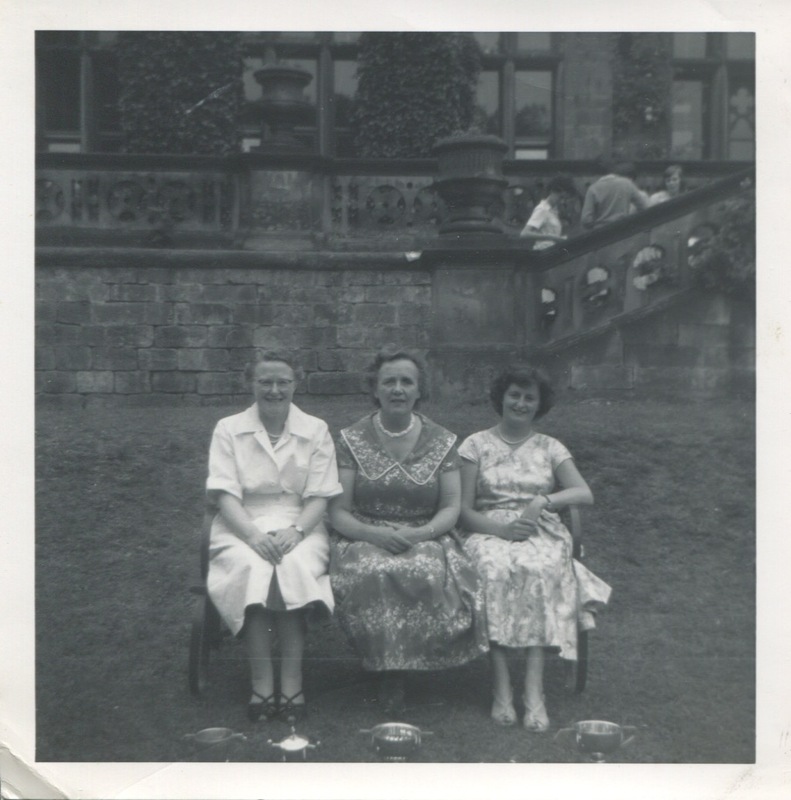 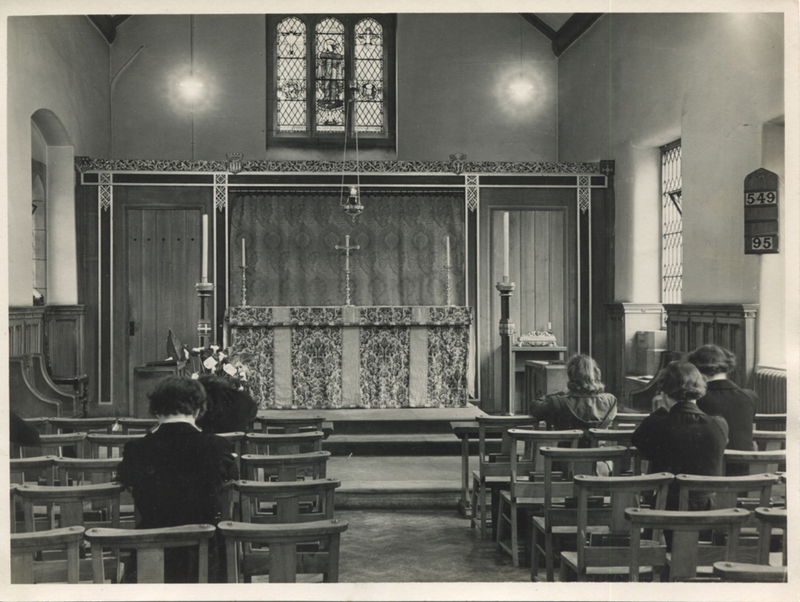 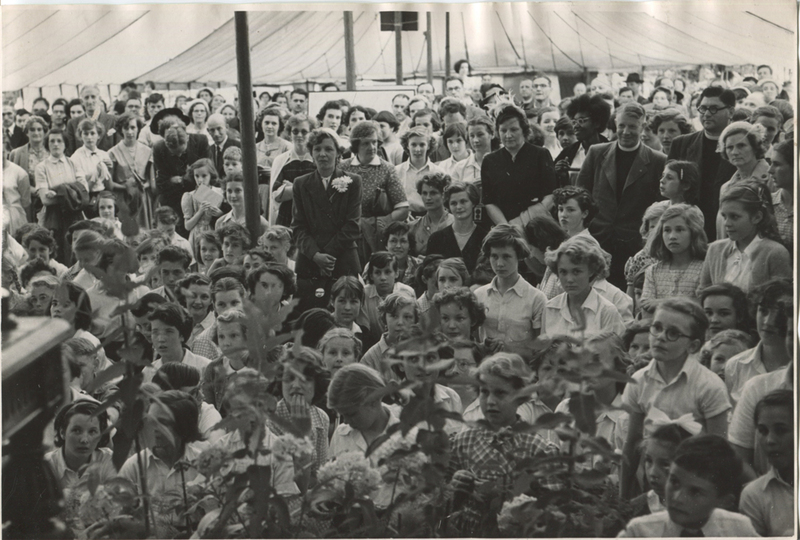 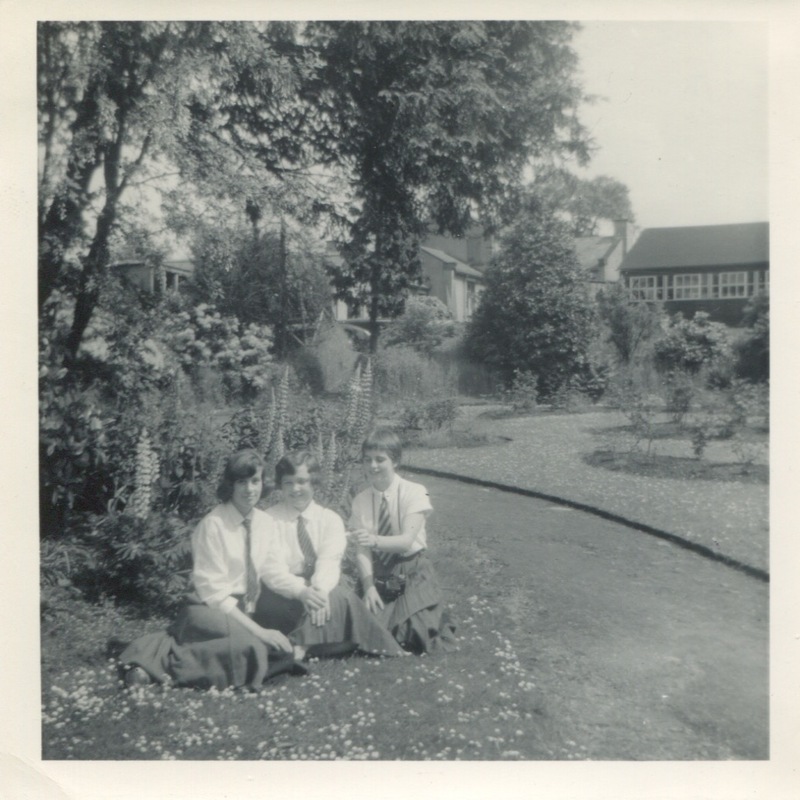 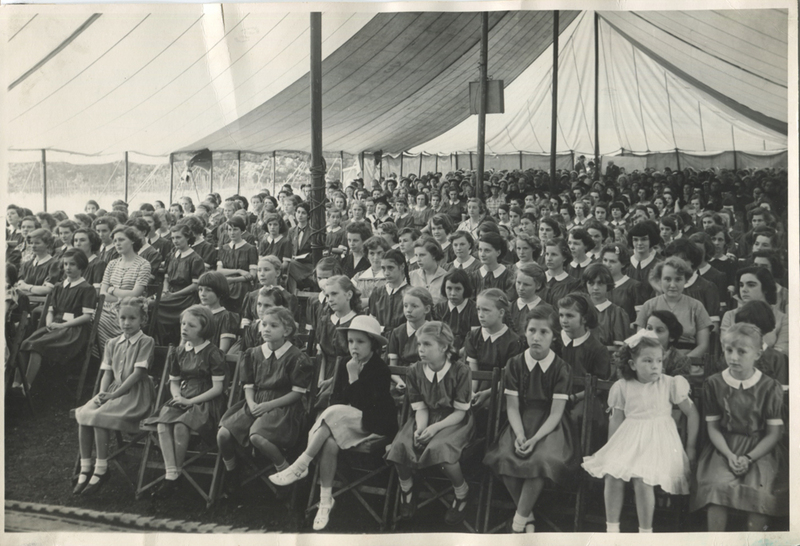 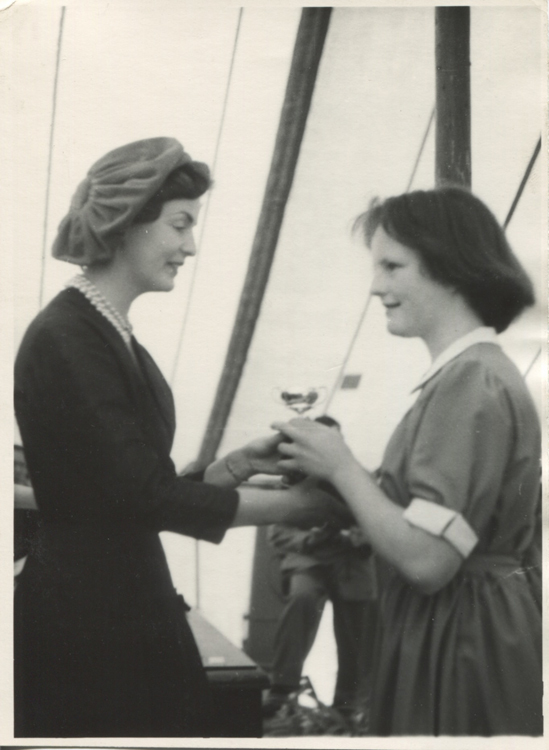 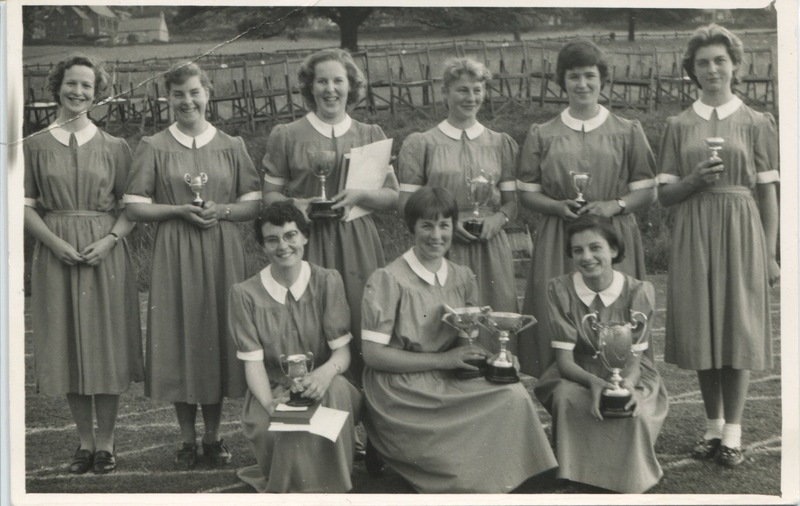 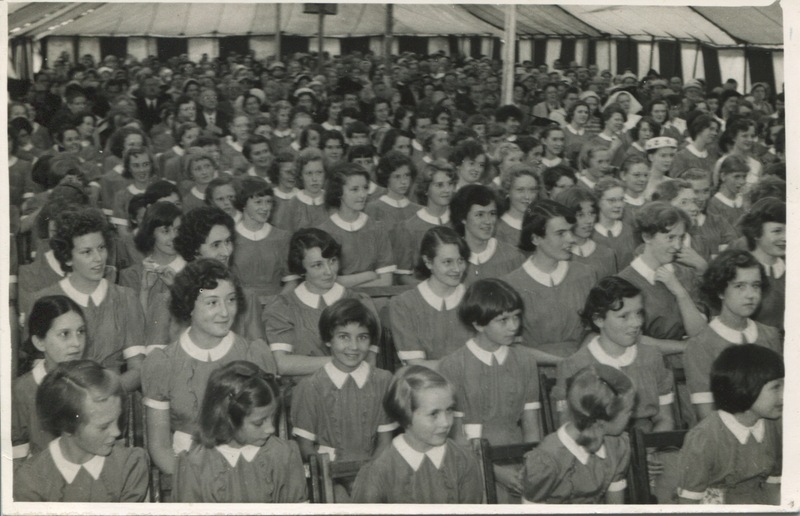 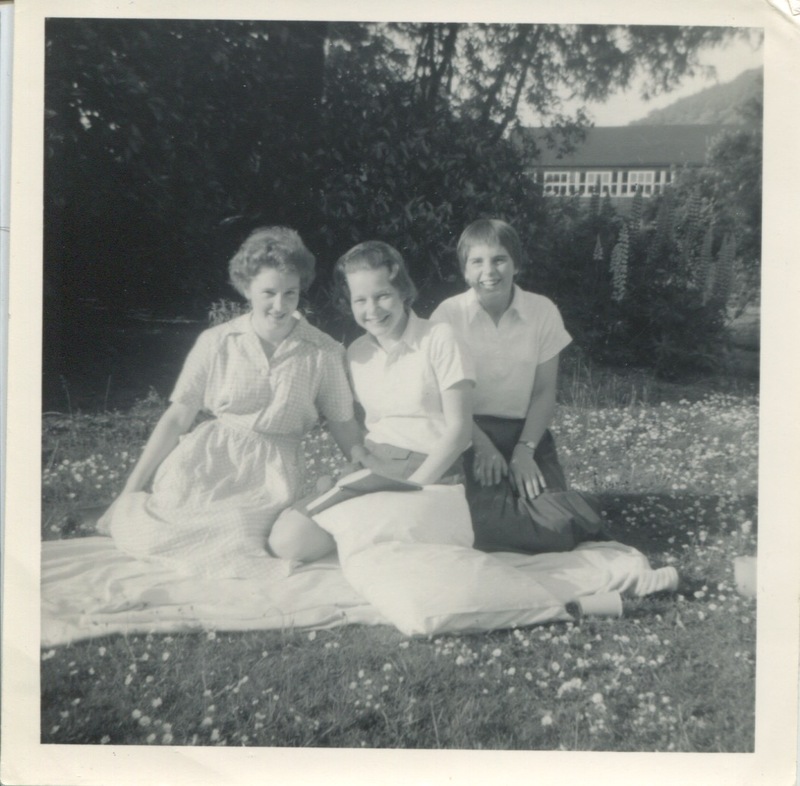 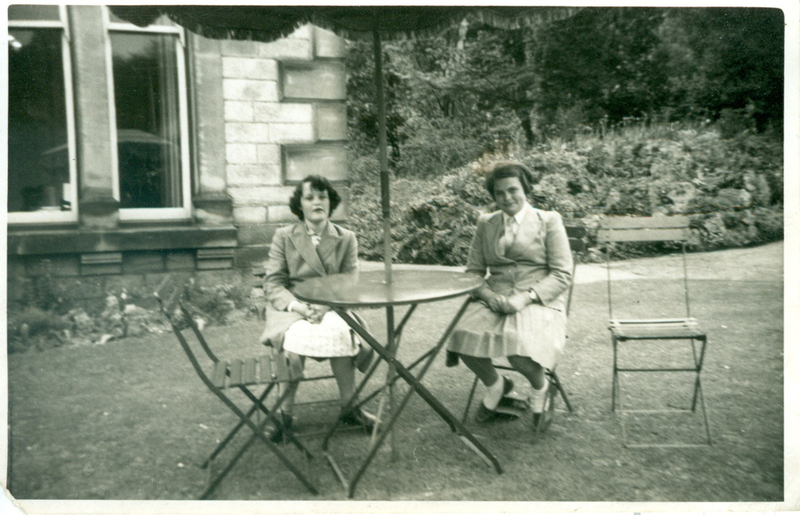 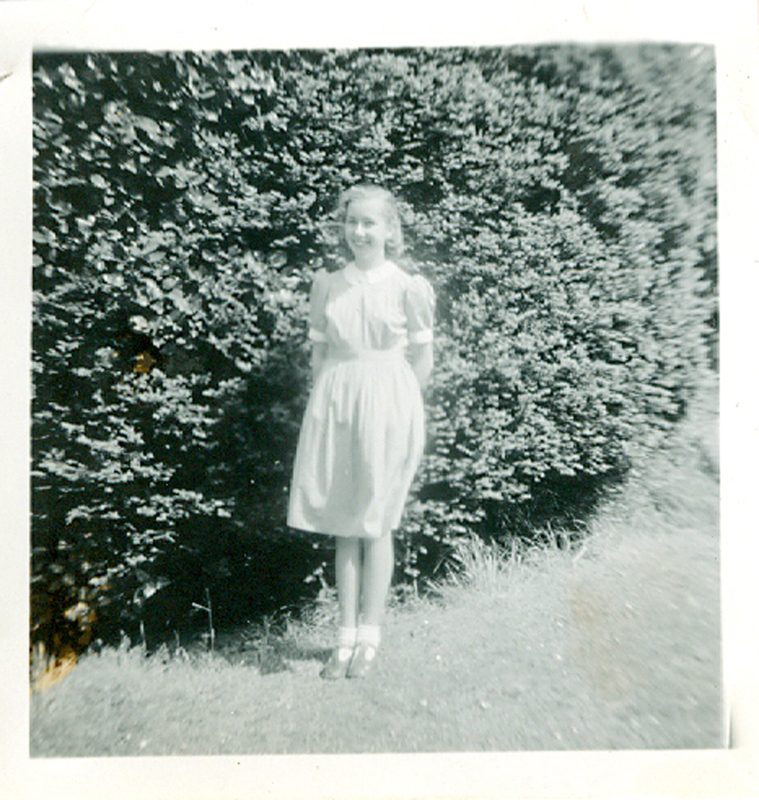 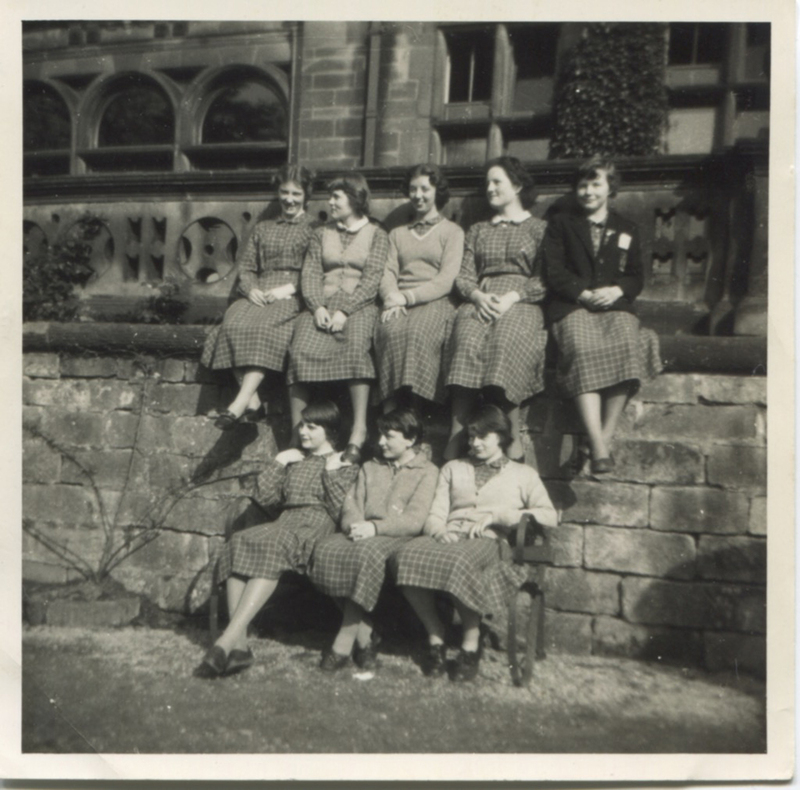 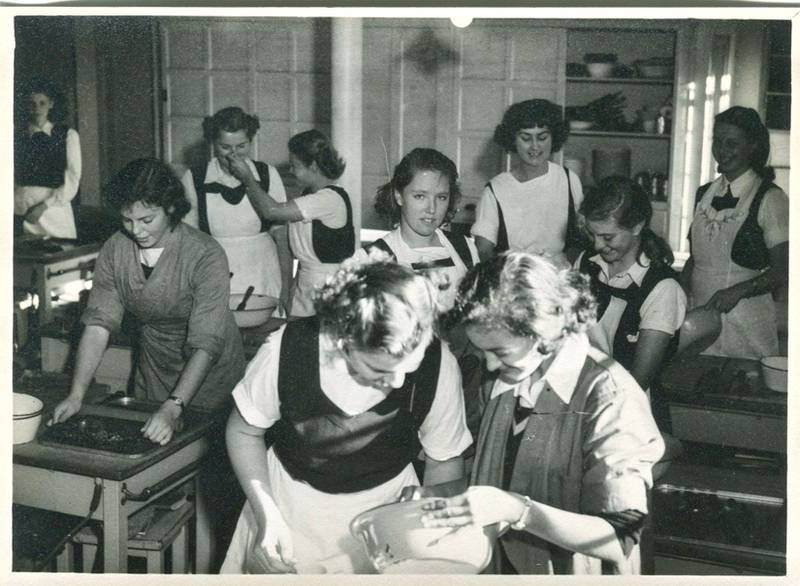 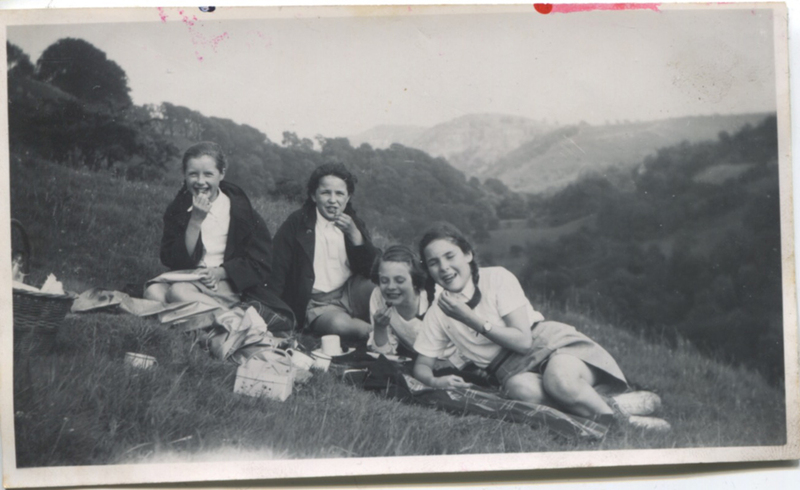 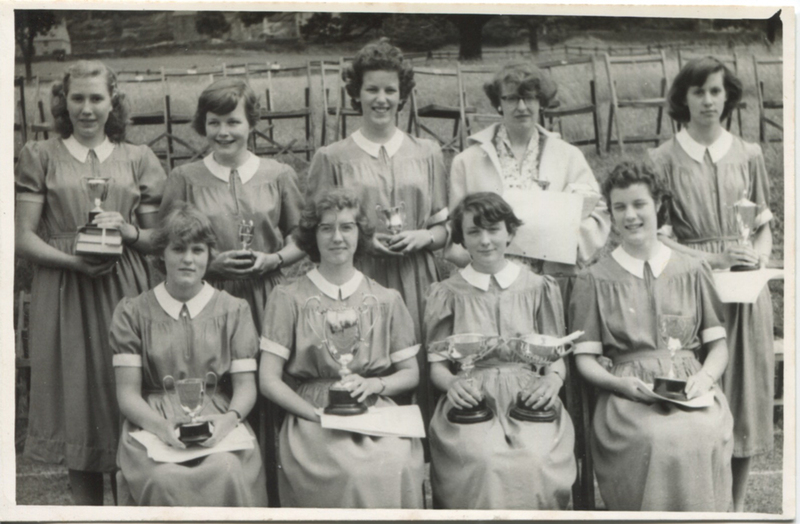 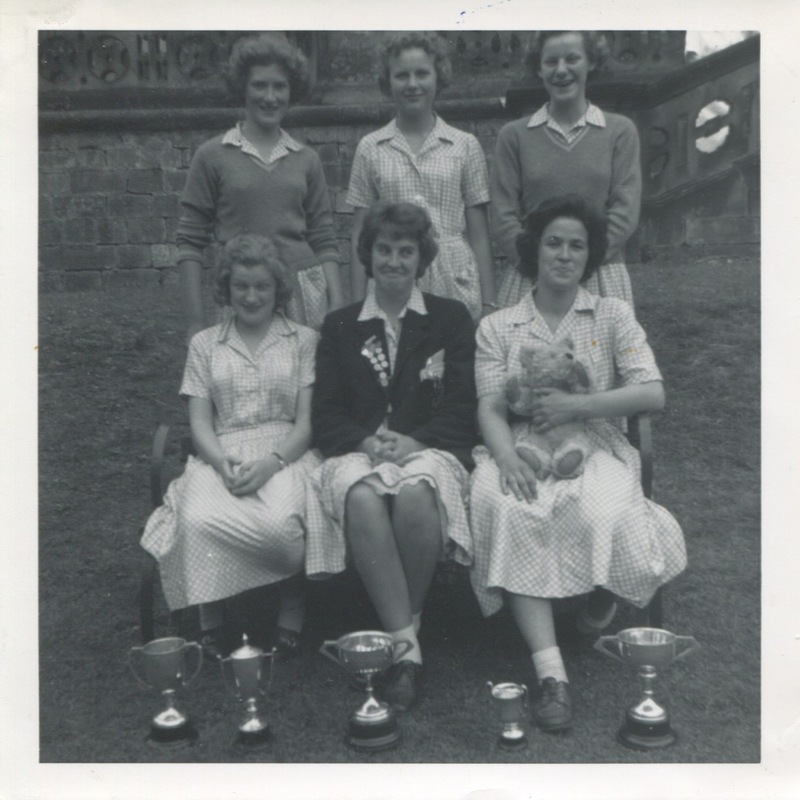 Below: 1957 - 1959 - Photos supplied by Elisabeth Ward-Larkins who was at St Elphin's from 1953 - 1960 in Wilson House. 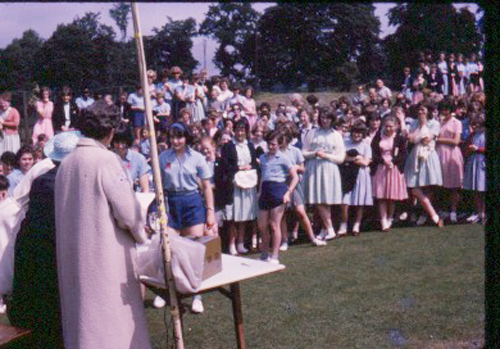 Elisabeth was also the author of the school song which she wrote in 1959 or 1960 (see Memorabilia). 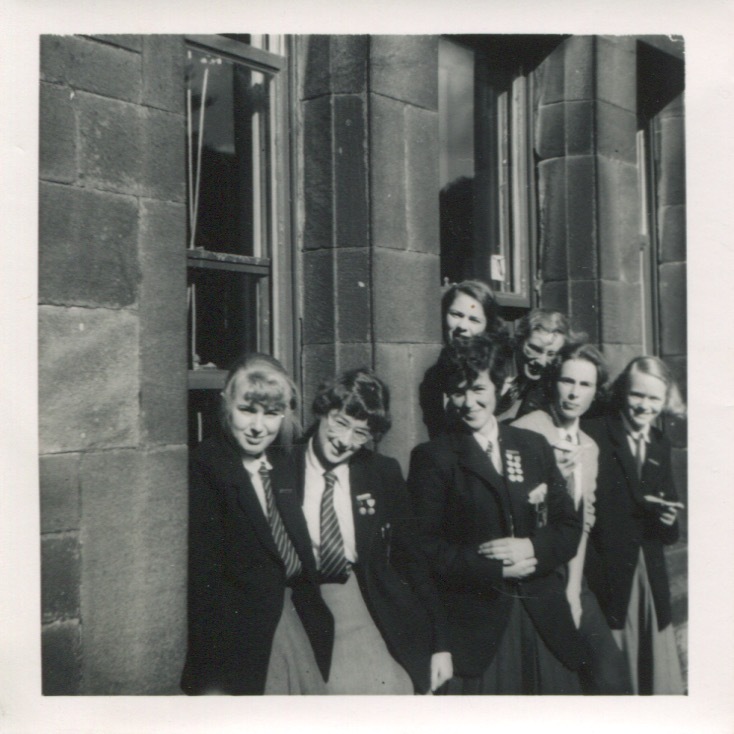 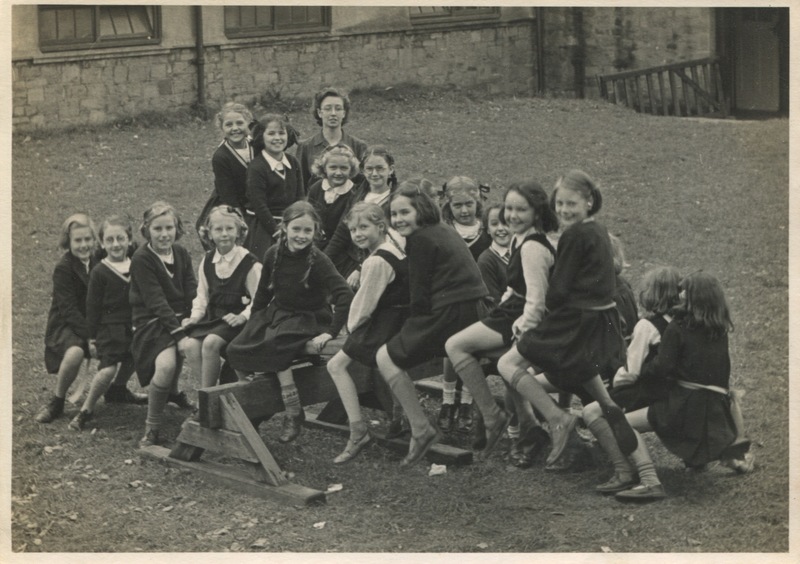 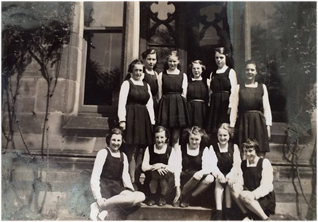 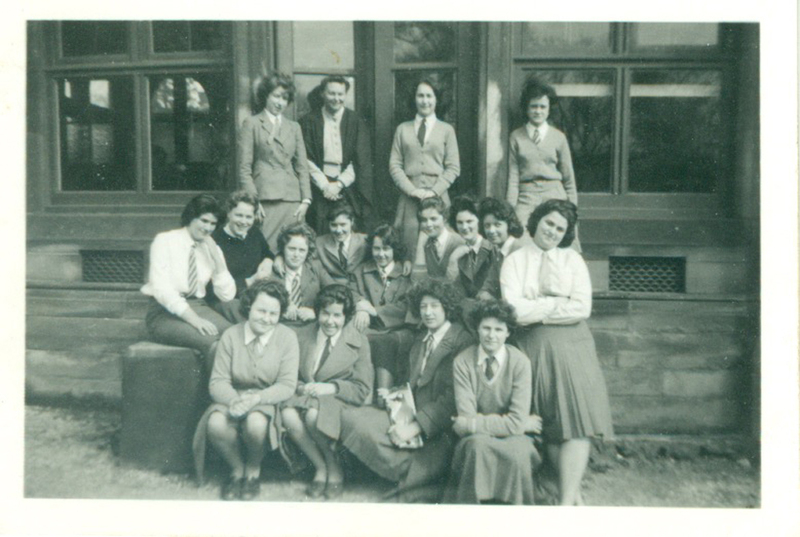 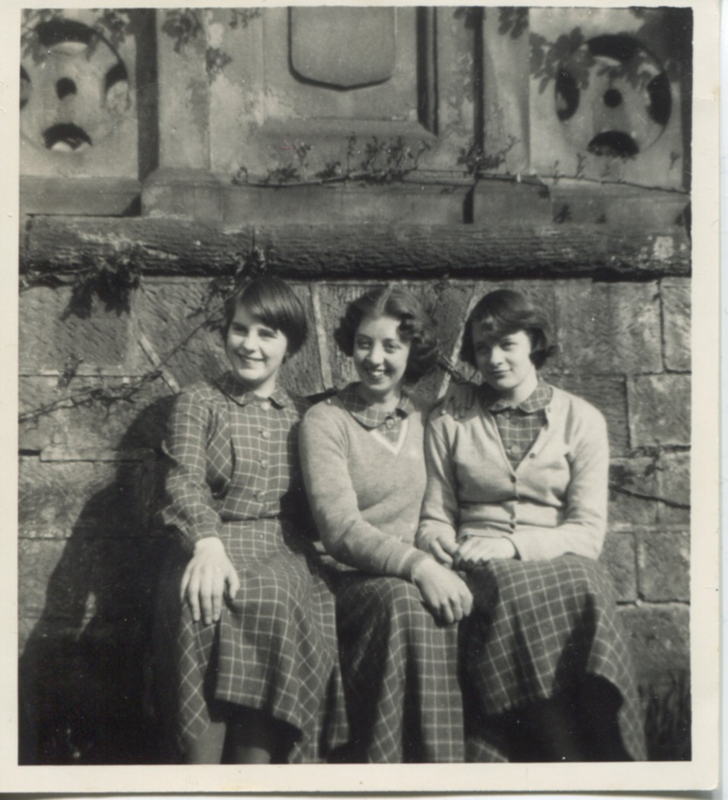 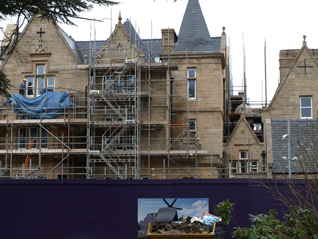 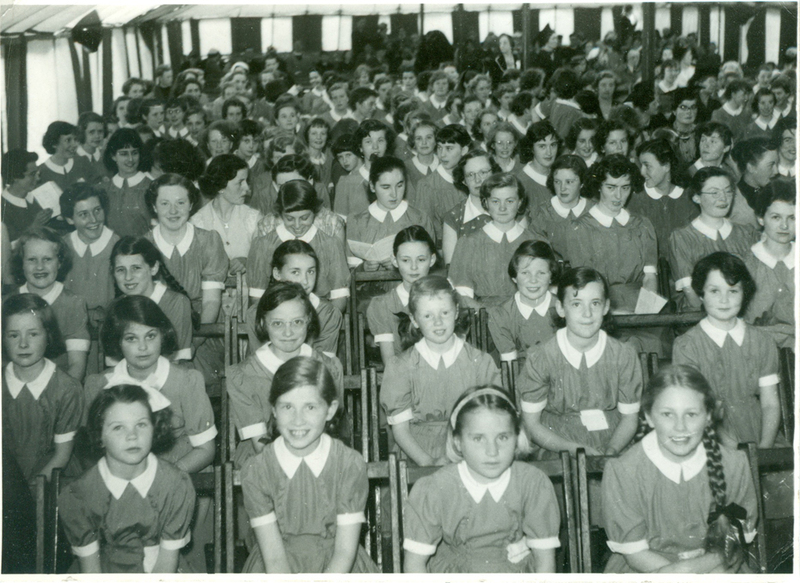 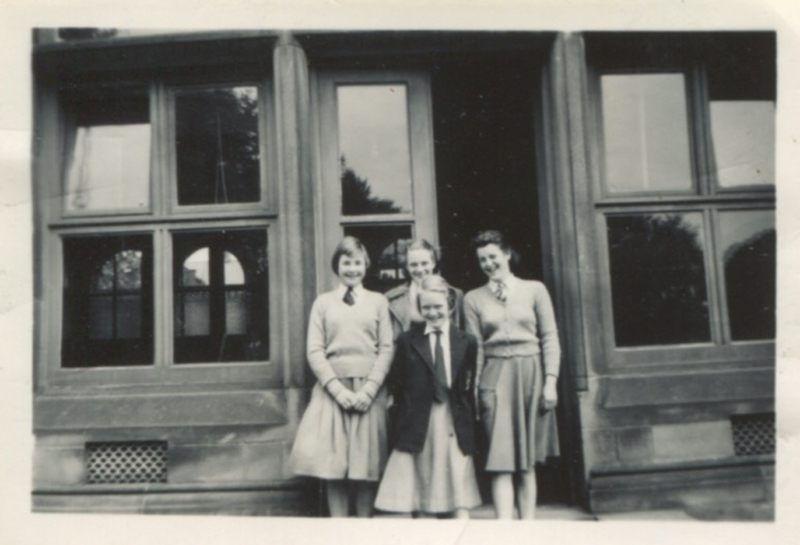 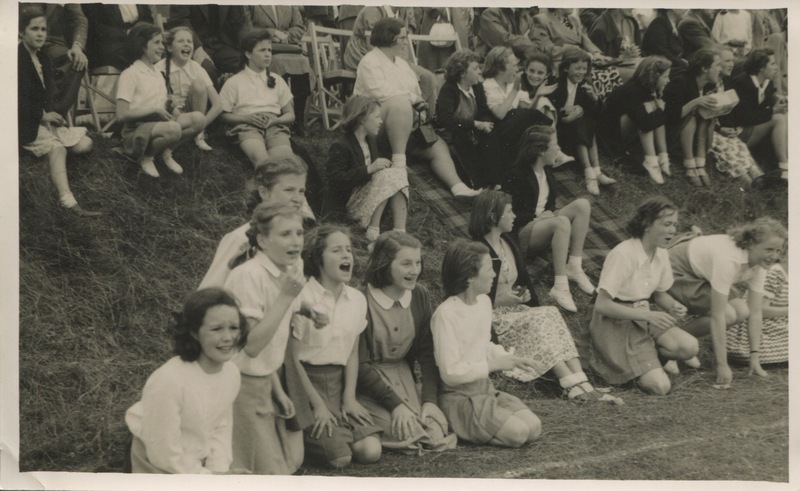 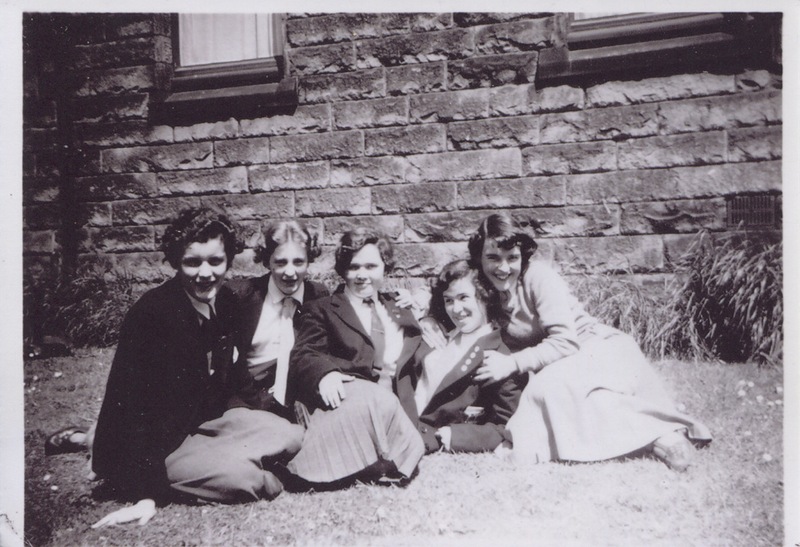 Below: Photos supplied by Jenny Lloyd-Moore who was at St Elphin's from 1952 to 1960 in Wilson House. 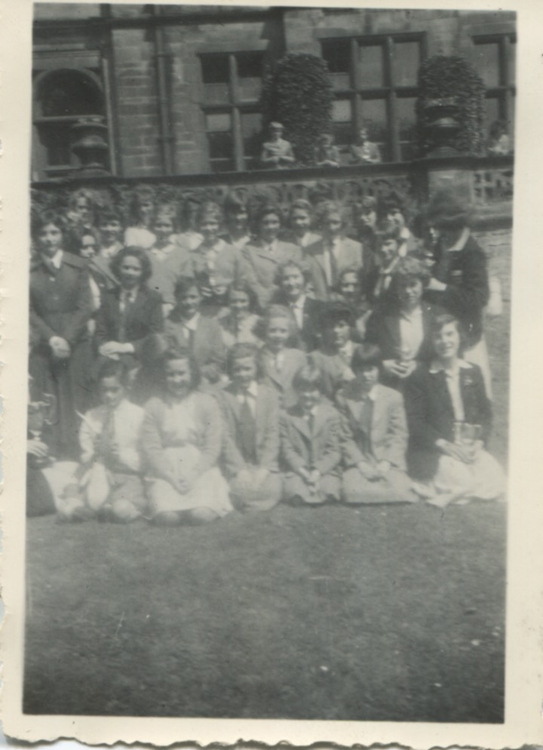 She had both Miss Stopford and Miss Robinson as Head Mistress. 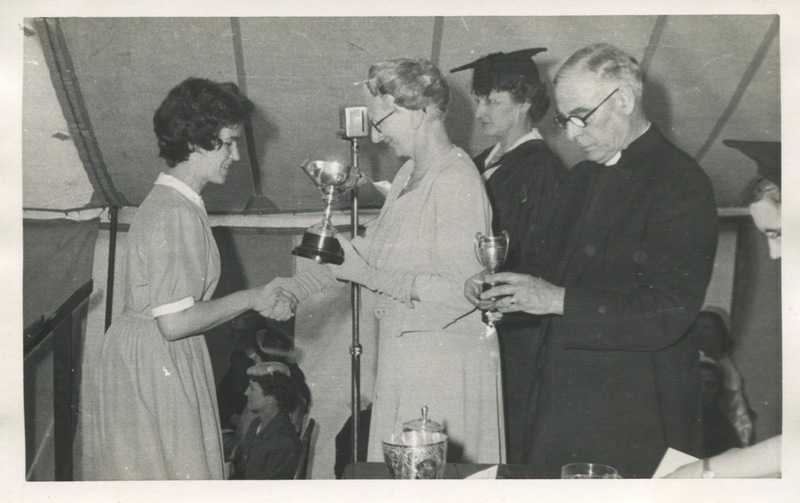 Below: Photos supplied by Sandie Stringfellow from circa 1958. 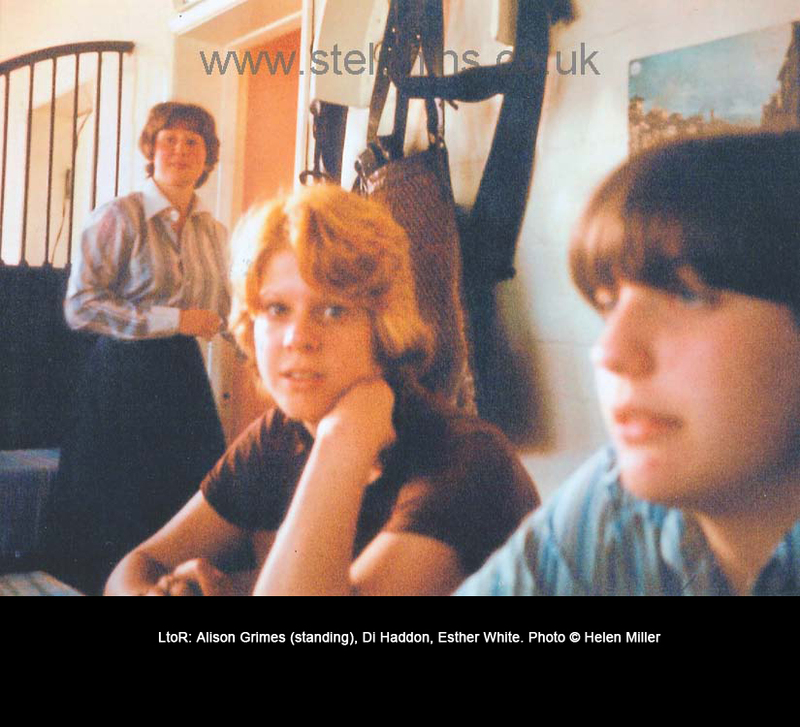 Please click on images to enlarge. 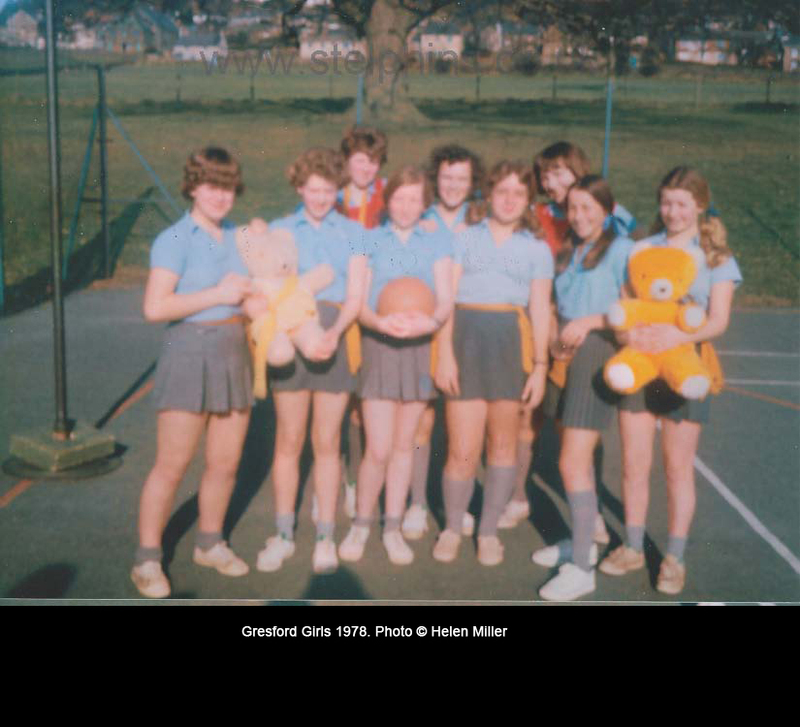 Below are a selection of slides taken by Miss Heather James. 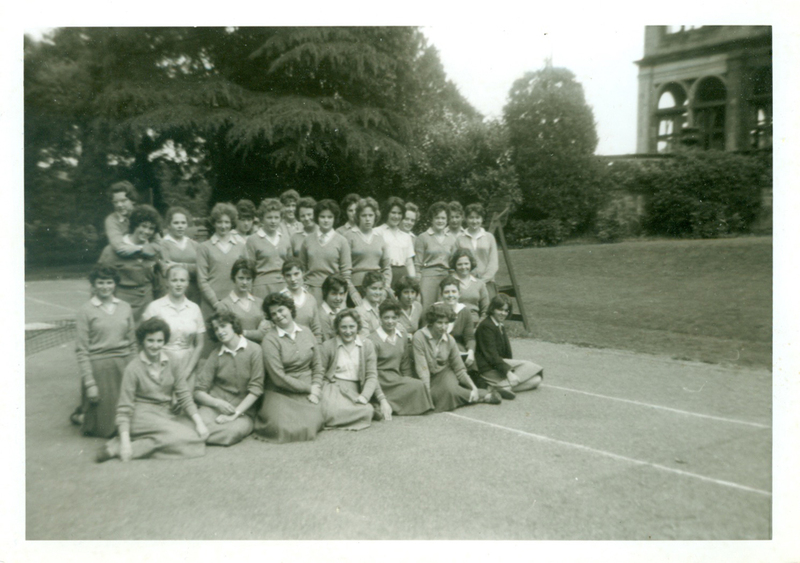 James taught Chemistry from 1963 to 1968. 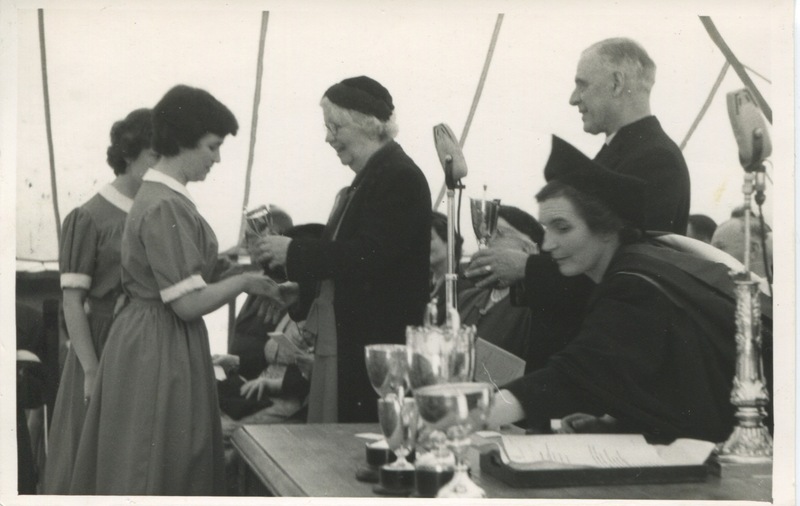 I was very pleased when she attended the major reunion held at St Elphin's in October 2015. 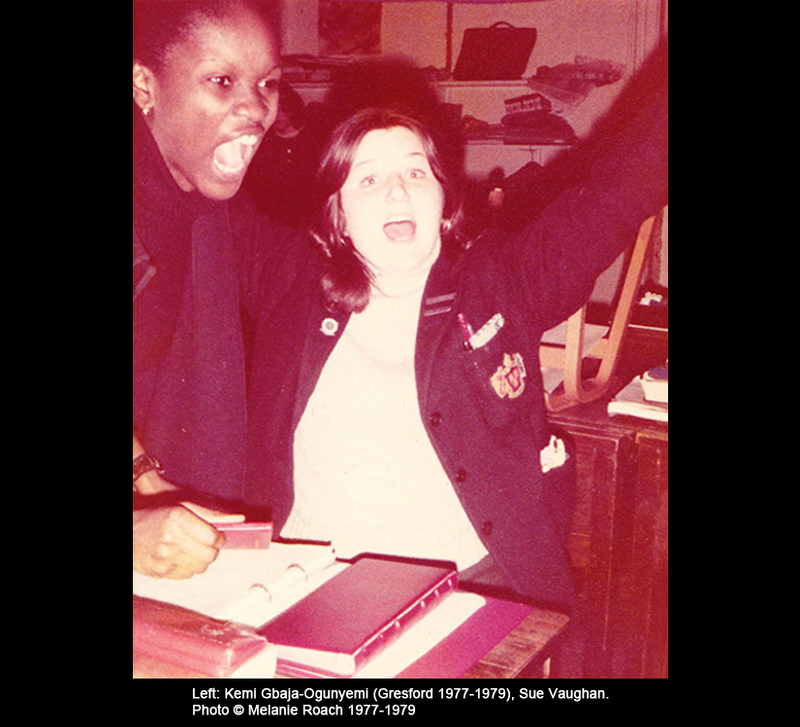 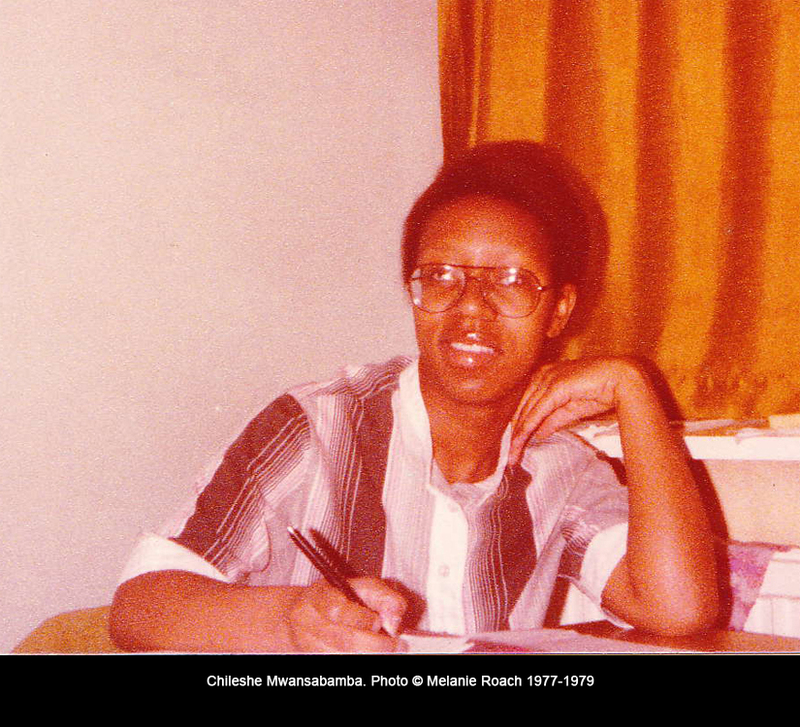 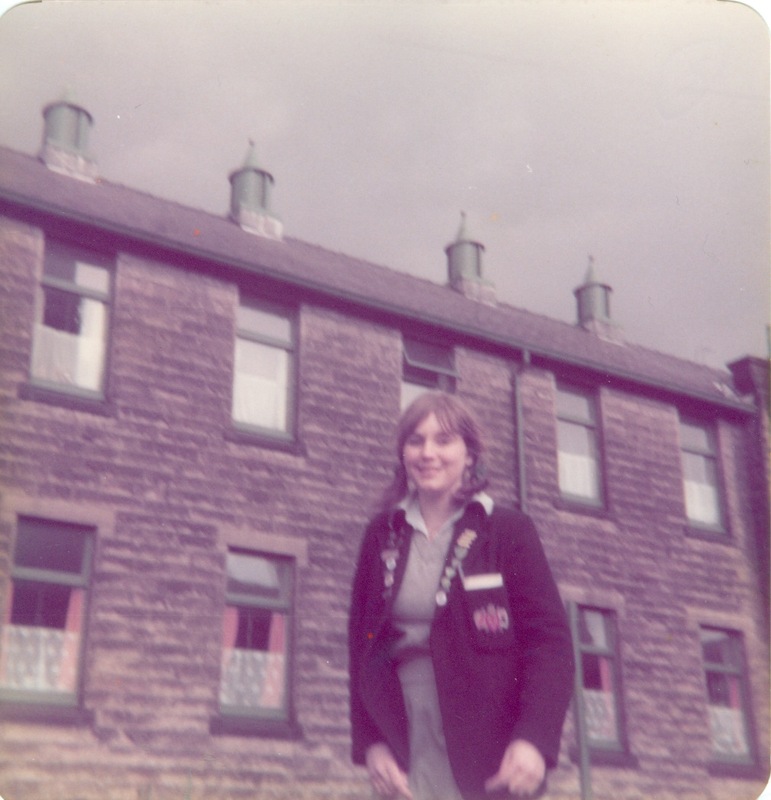 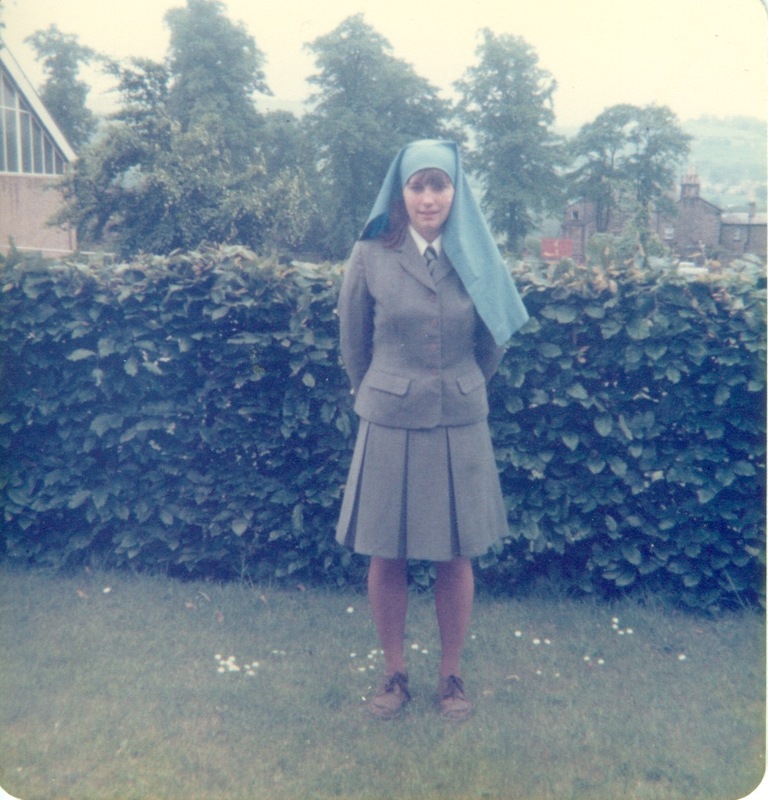 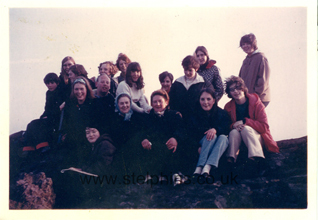 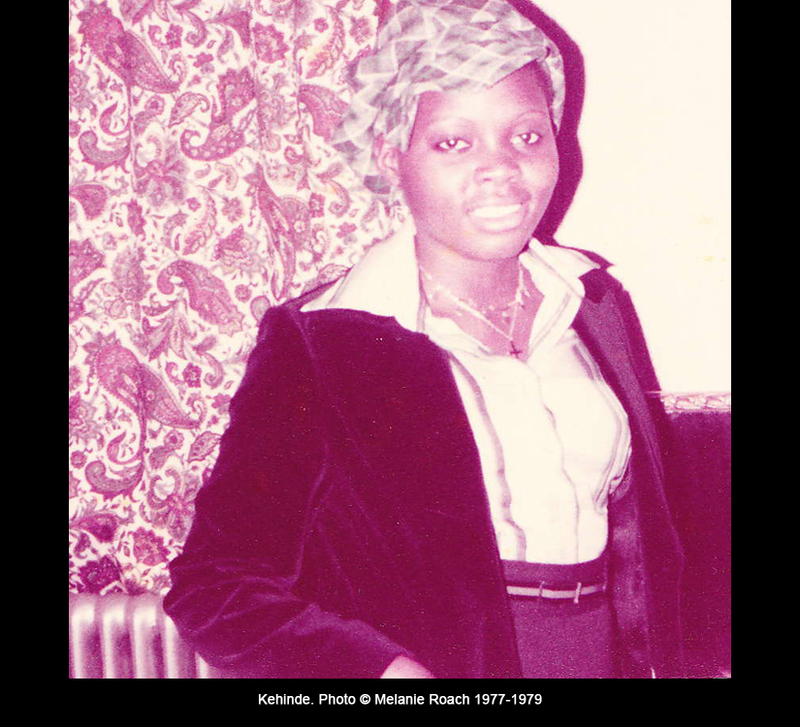 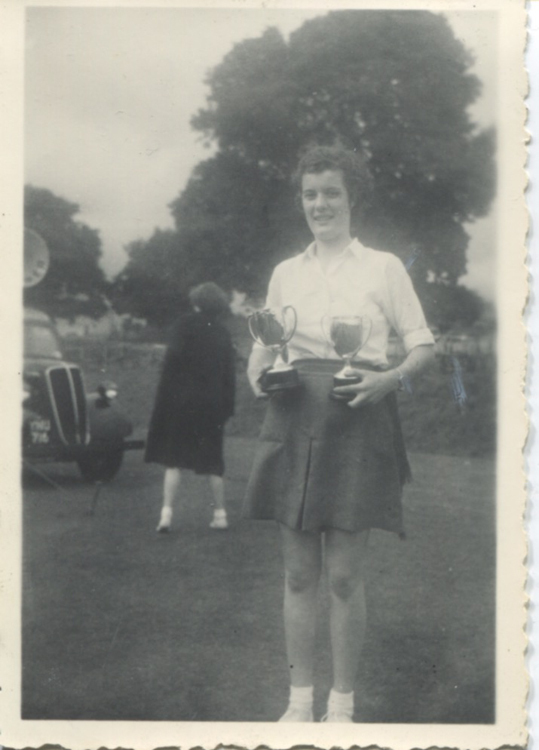 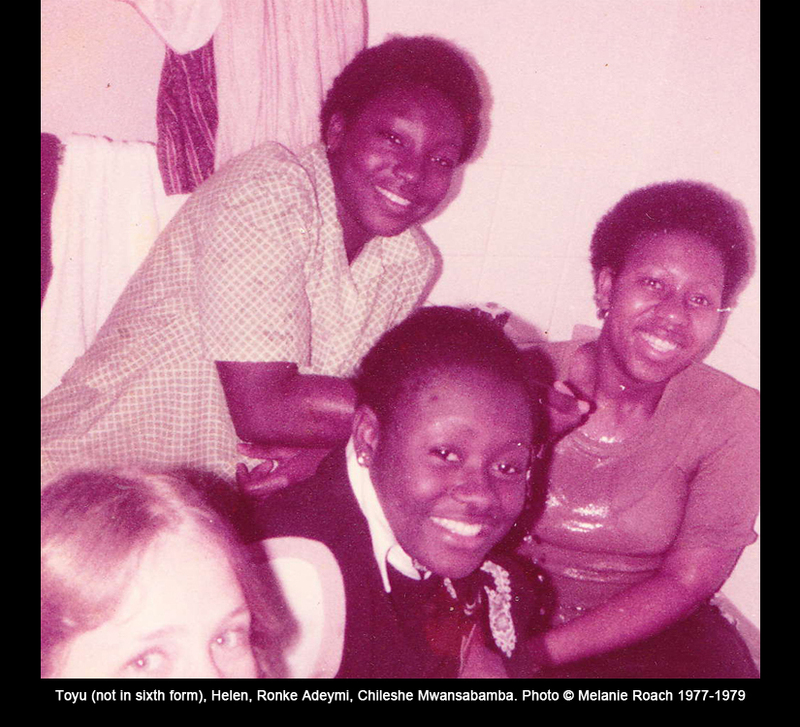 She is also a member of TOE and her memoirs as a teacher at St Elphin's can be found here. 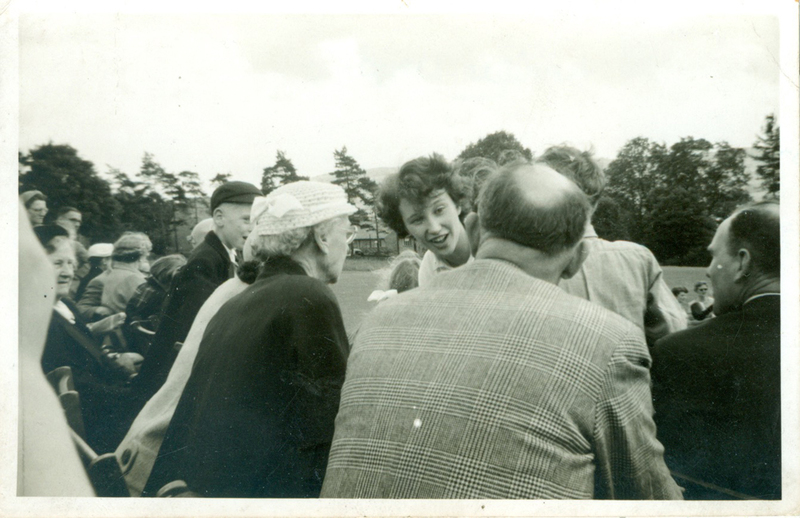 Above: Visit to Josiah Wedgewood & Sons Ltd in Stoke-on-Trent, Staffordshire - 6th July, 1965. 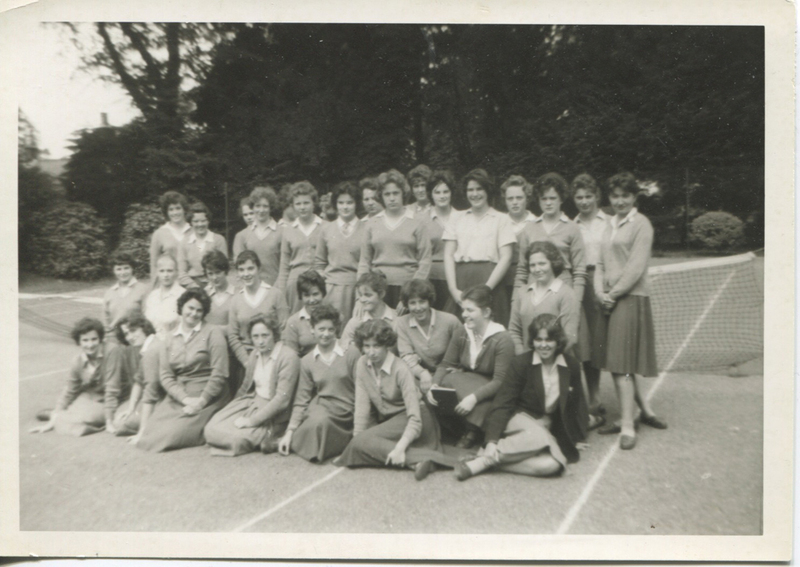 Photo kindly supplied by Miss James (Chemistry teacher 1963-1968). 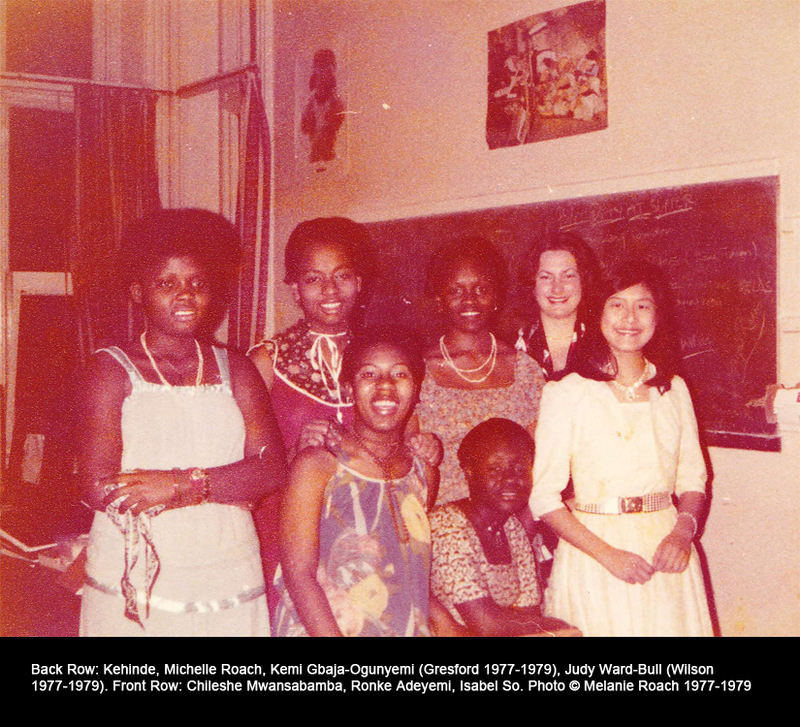 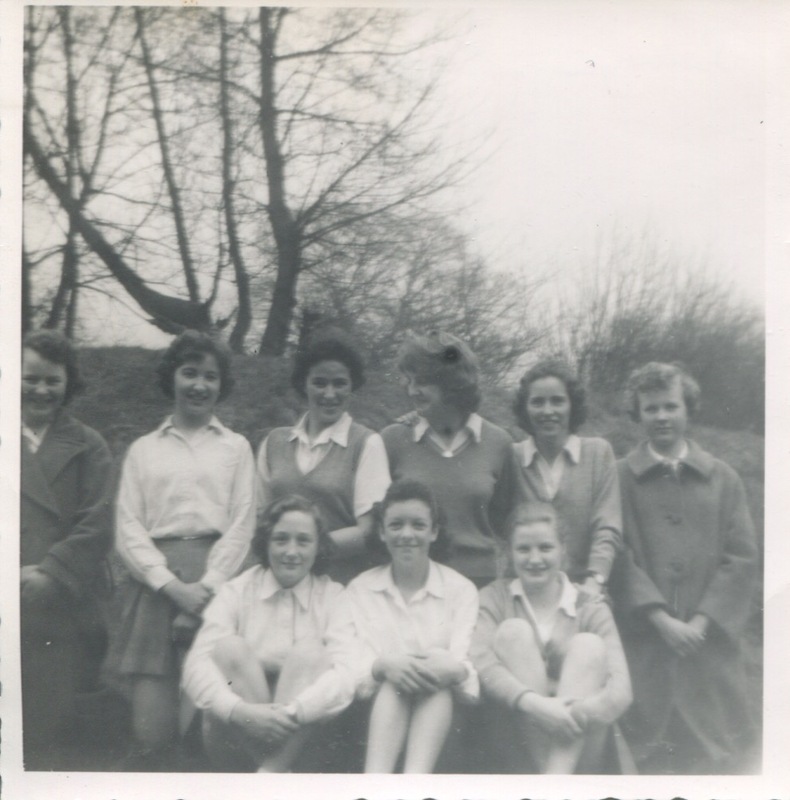 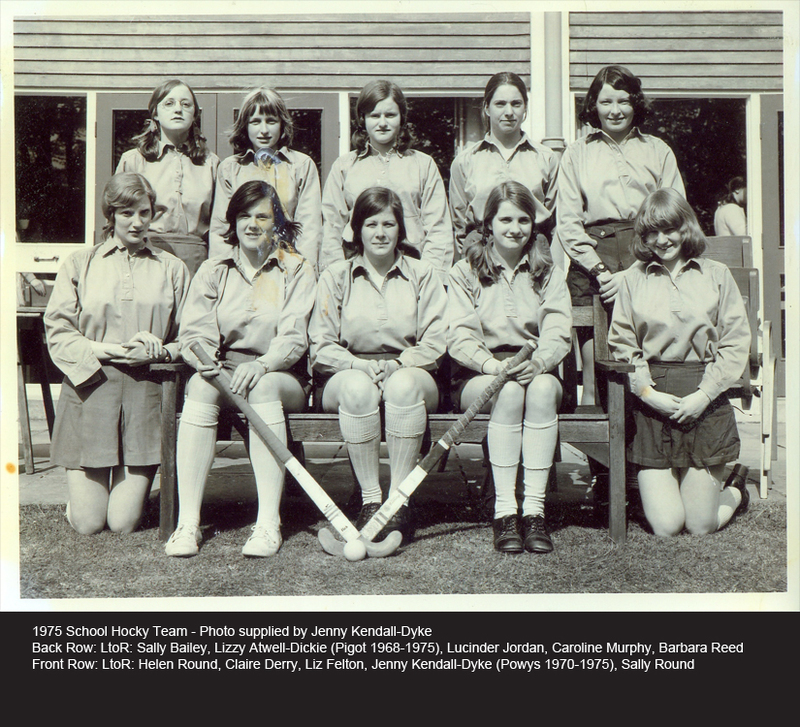 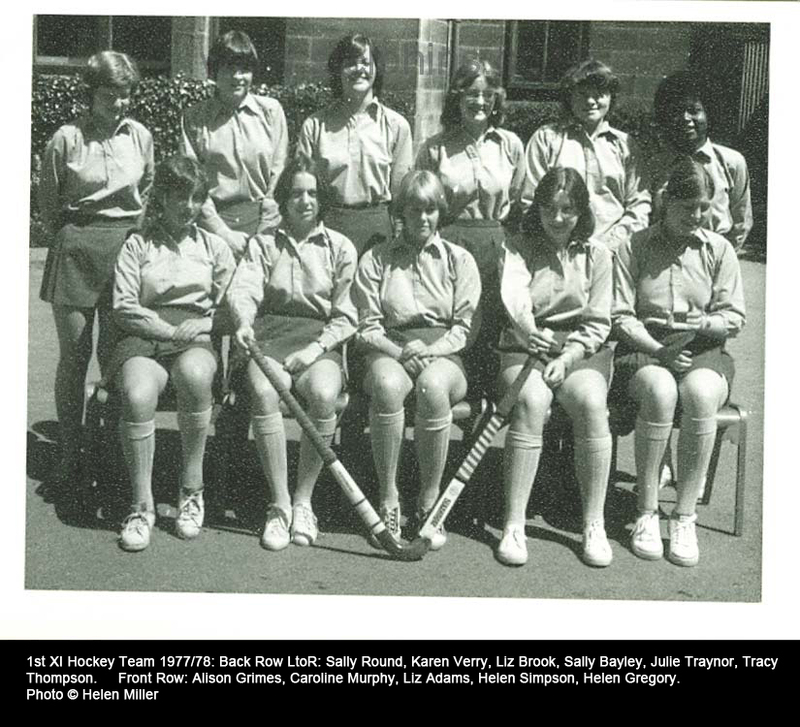 Thanks to Beryl Campbell for identifying most of the girls. 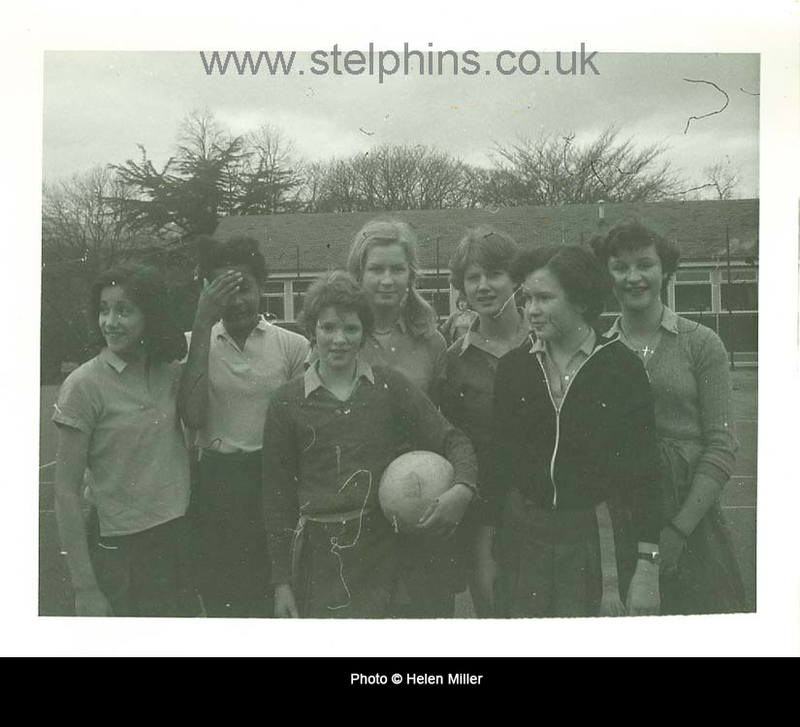 If anyone else can identify anyone on this photo please let Liz know (lizbailey@stelphins.co.uk). 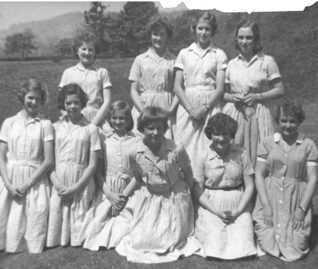 Please click on photo for larger version. 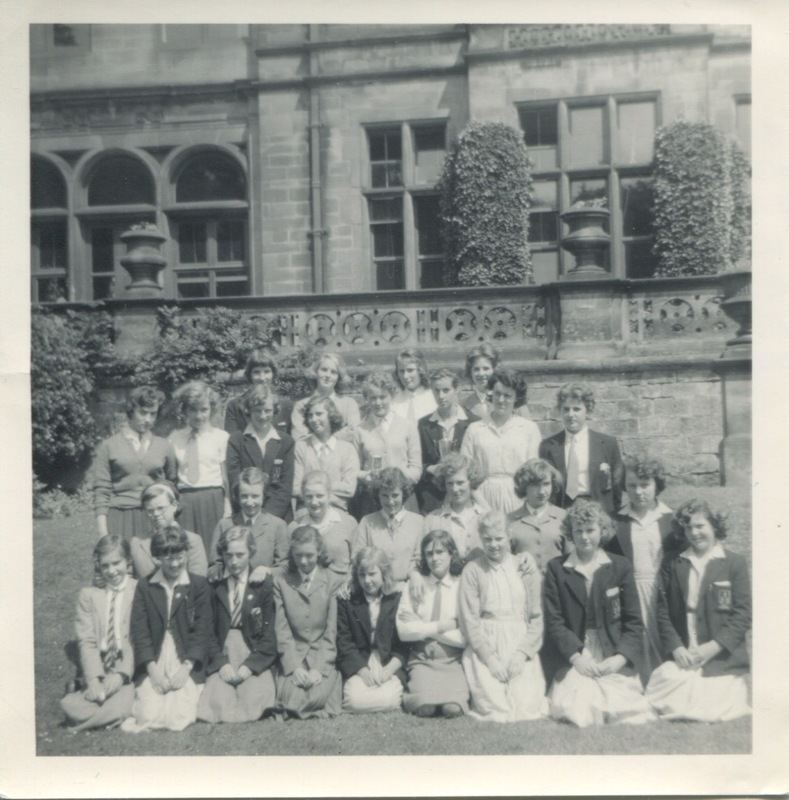 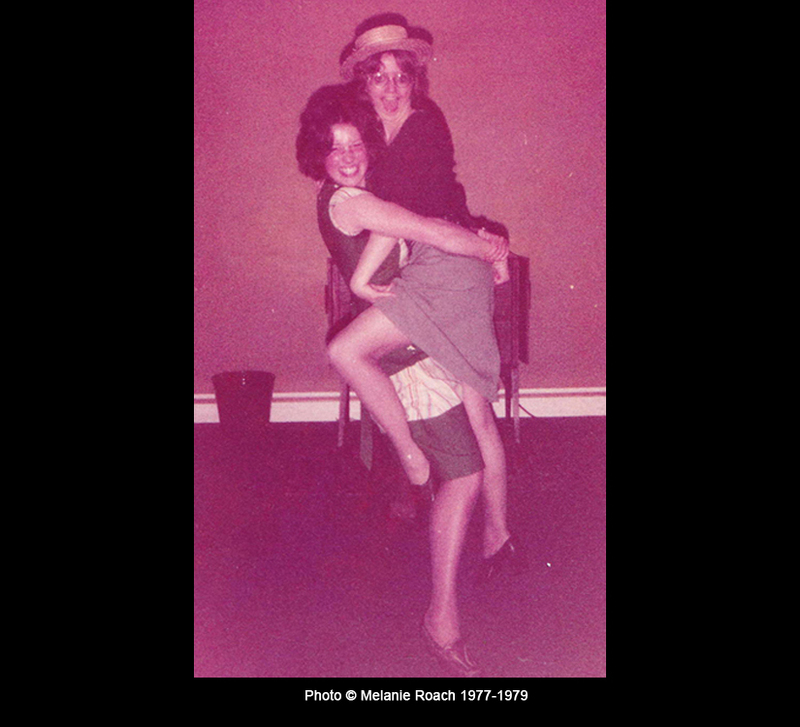 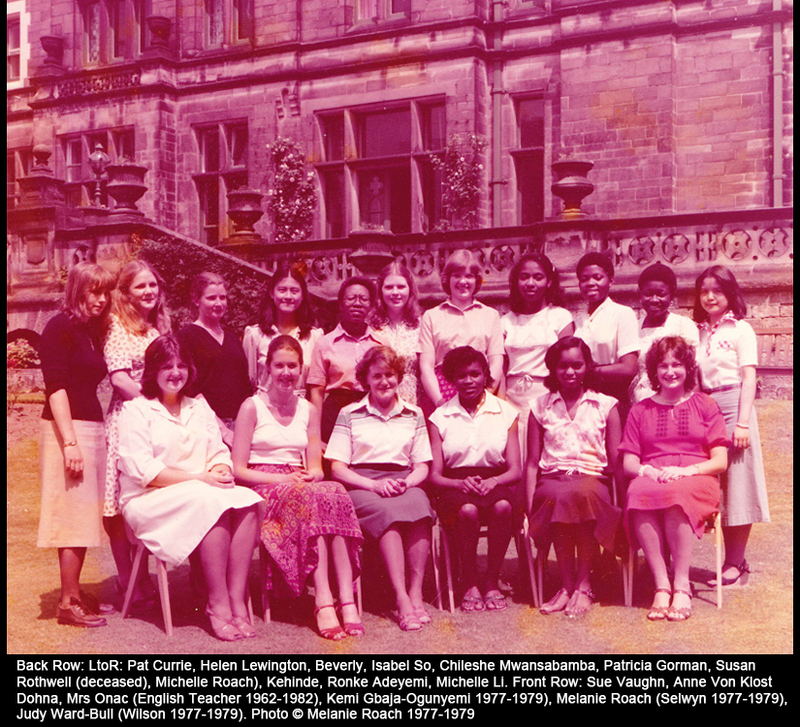 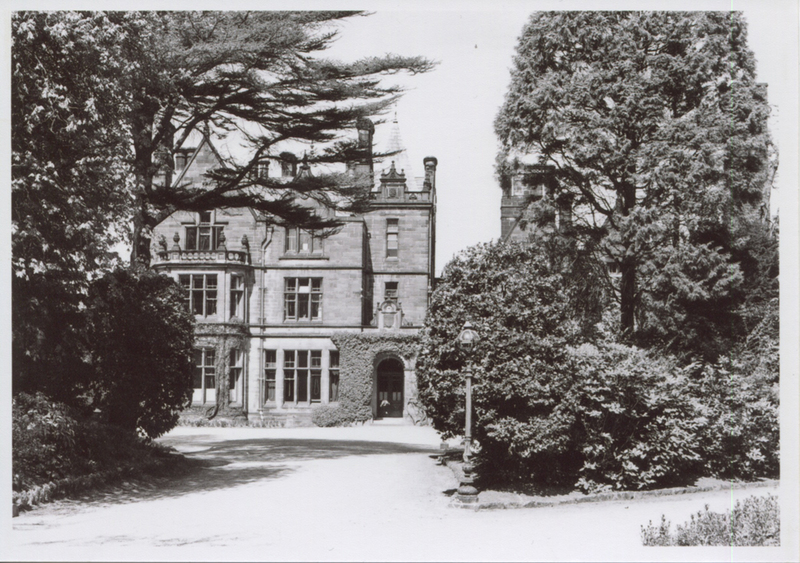 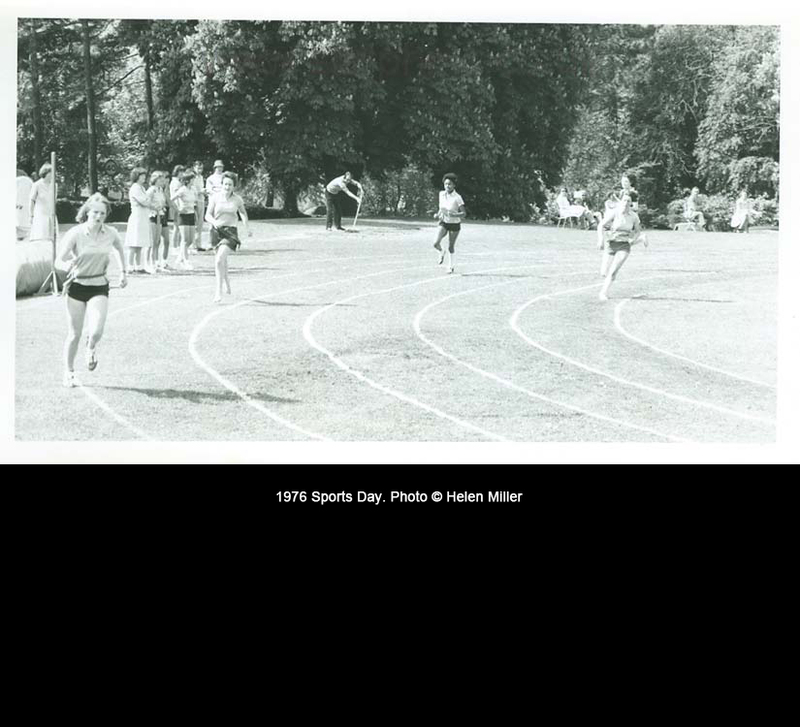 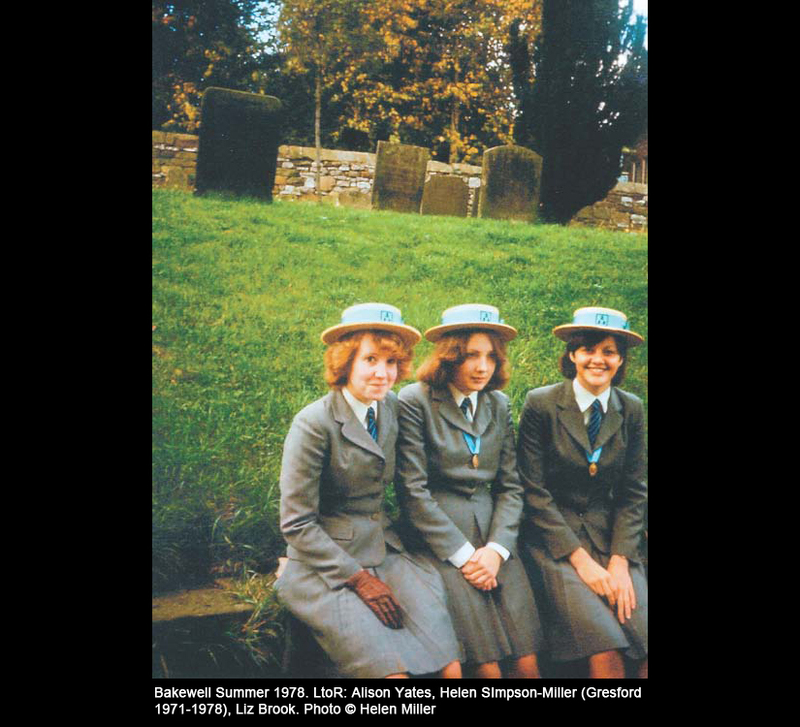 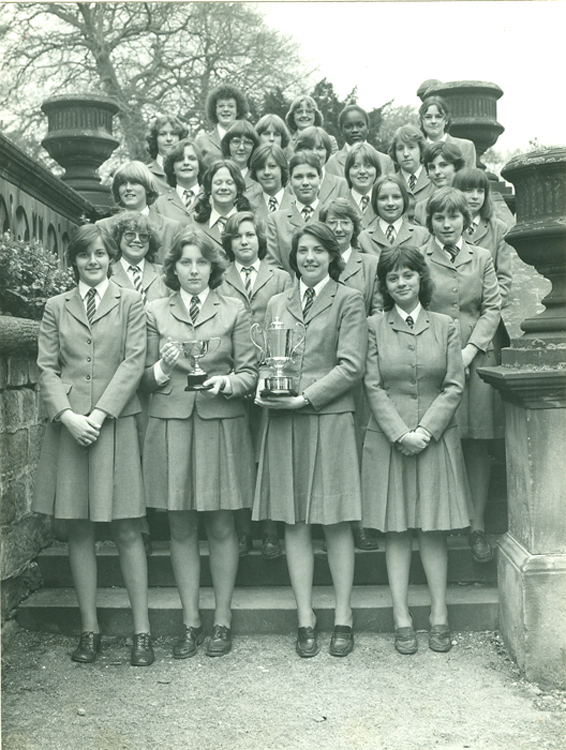 Thanks to Nina Wagstaff-Wall for supplying the above photo which was taken late 1966 with either Denstone College. 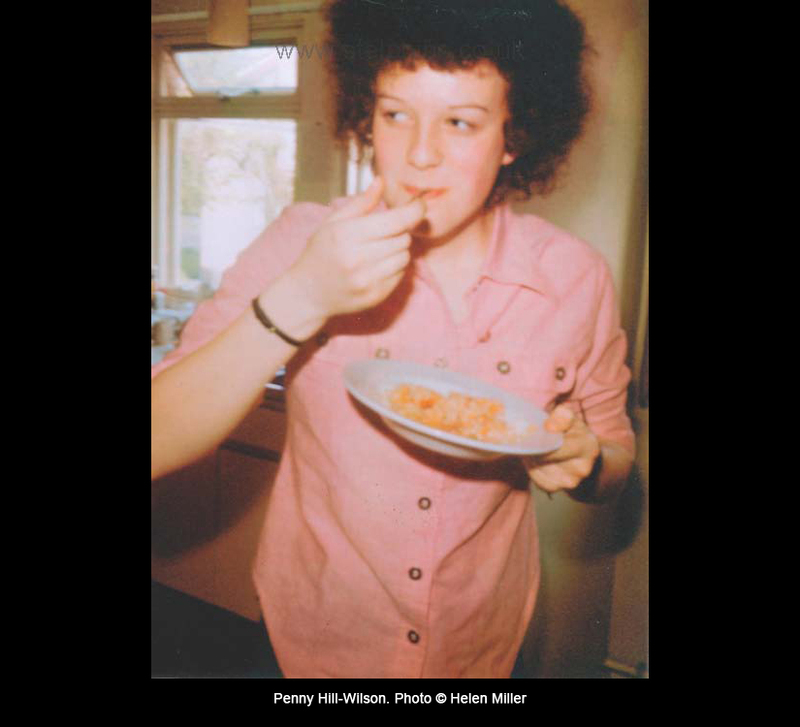 Also, thanks to Hannah Robinson-Mortimer for supplying further details. 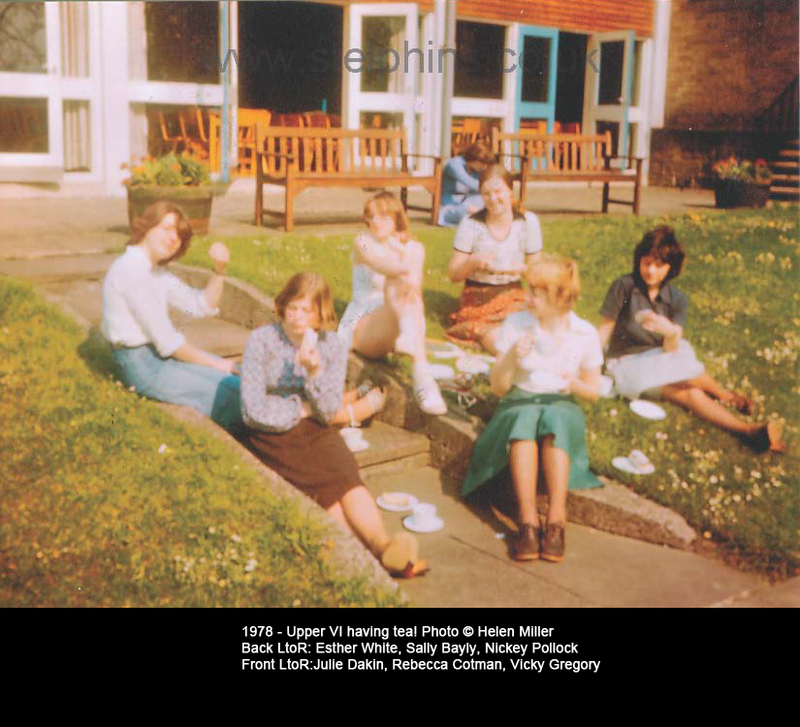 The 1967 magazine (pp 19 'Music Report') states "....The Harmonie Mass in B flat by Haydn. 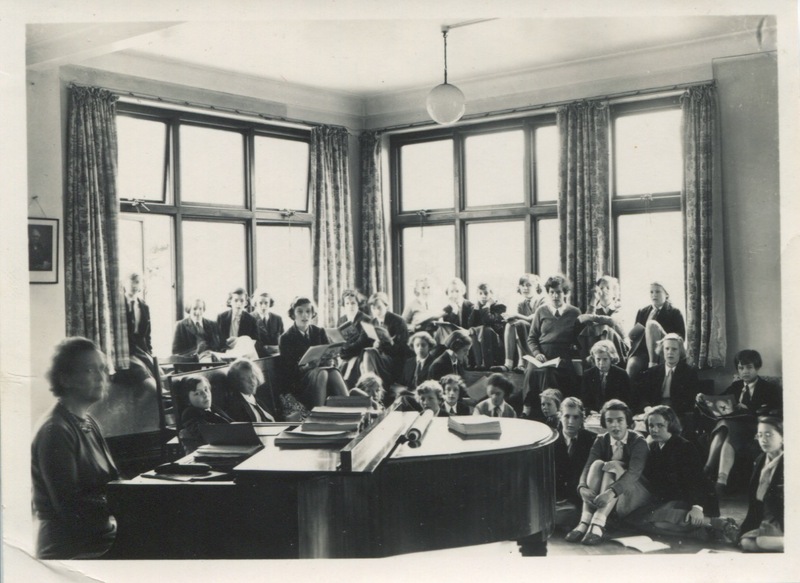 This production was undertaken by joint choirs from St Elphin's and Denstone College, and the final performances at the respective schools – the result of keen and conscientious practice – reached an extremely high standard and afforded great enjoyment to the audience." 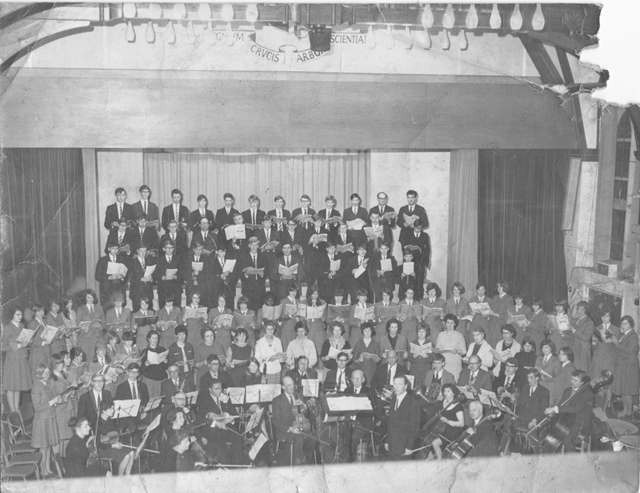 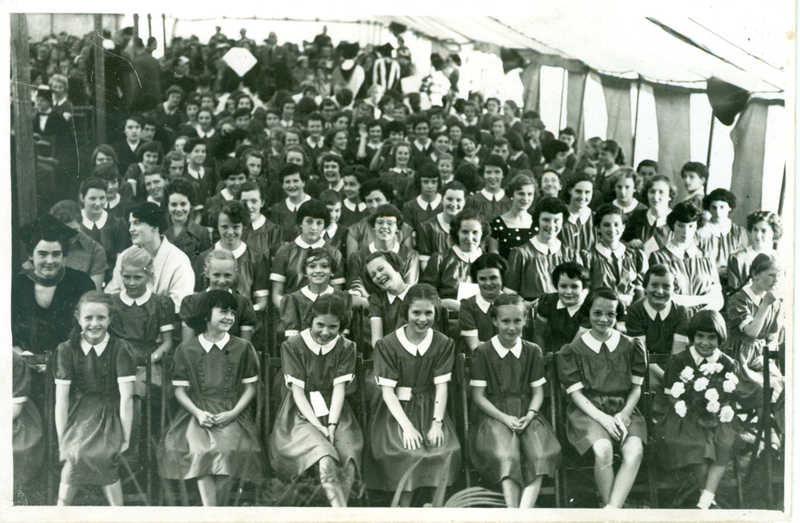 On the first row immediately behind the orchestra, 9th from the left (2nd of the teachers) is Miss Conway-Davies and 10th from the left is Miss Morris (Scripture teacher). 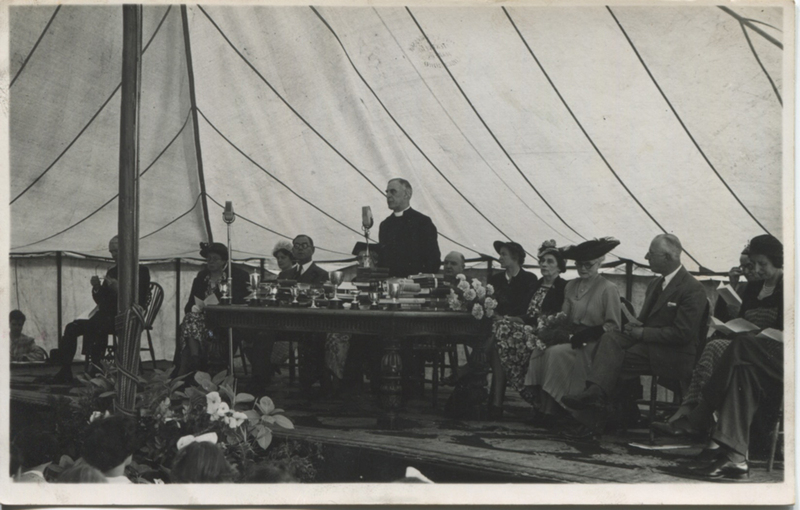 Nina is on the right of the row in front of the stage, immediately in front of the left-hand edge of the curtain (sharing a manuscript). 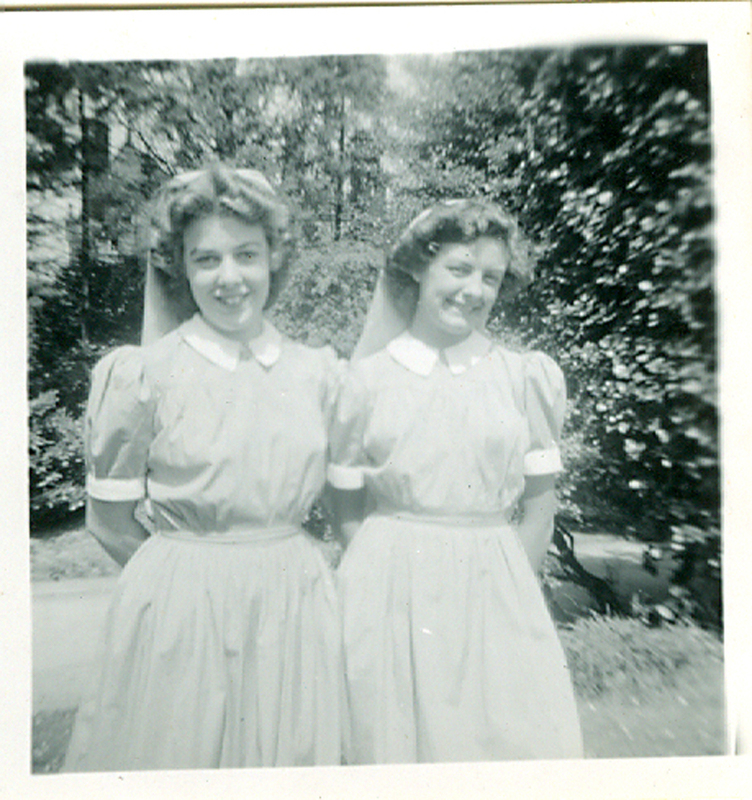 Please click on the photo for a larger version. 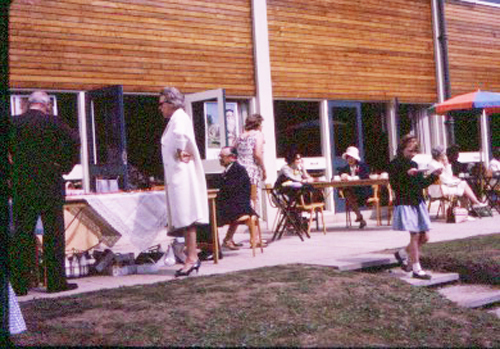 Approximately 1966. 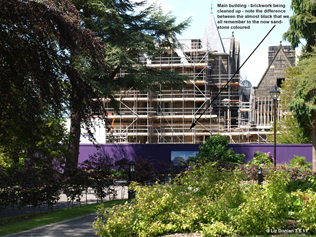 Thanks to Nina Wagstaff-Wall for providing this photo. 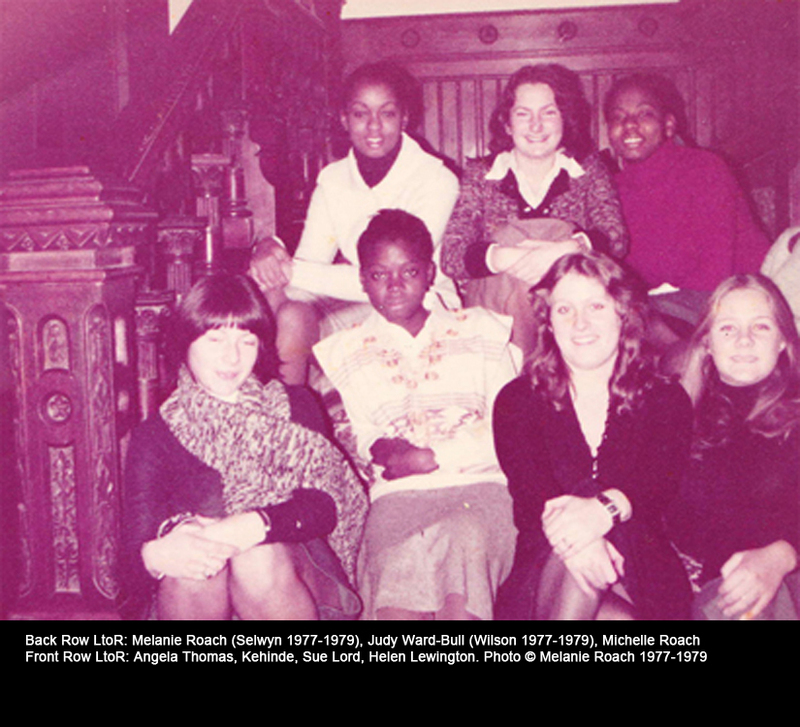 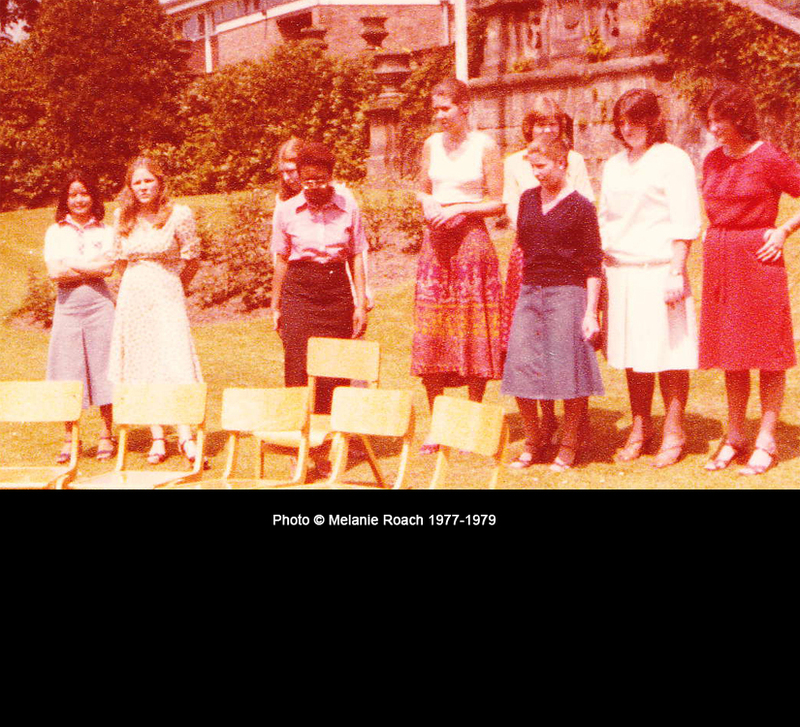 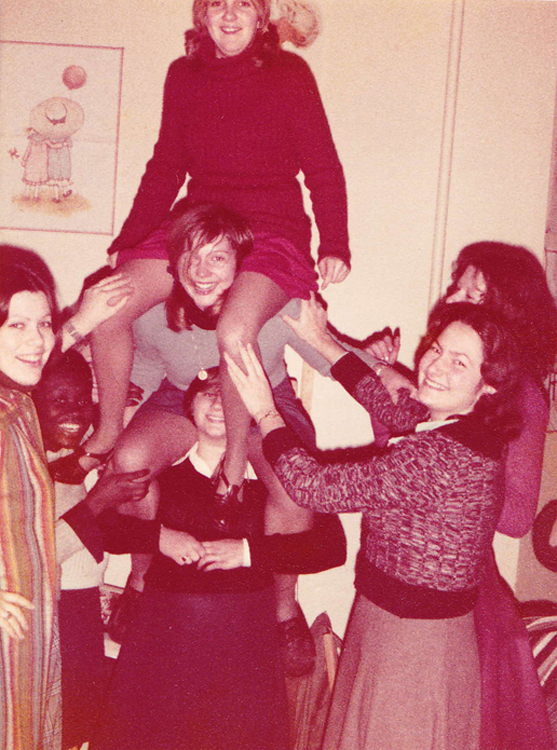 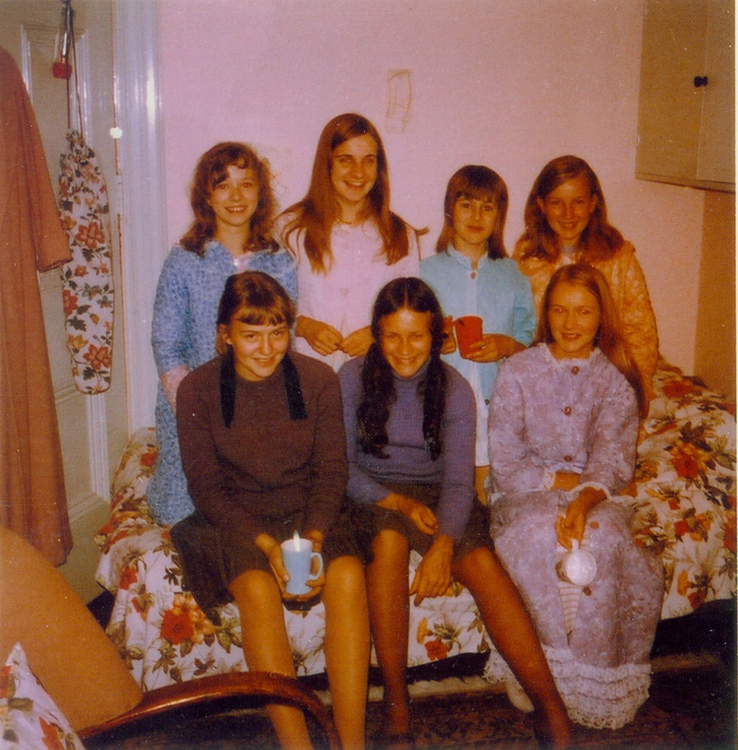 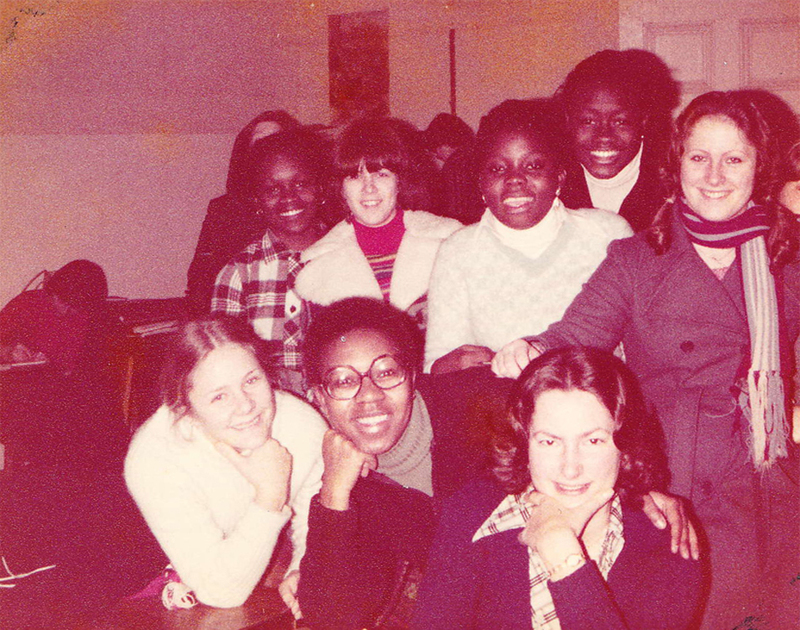 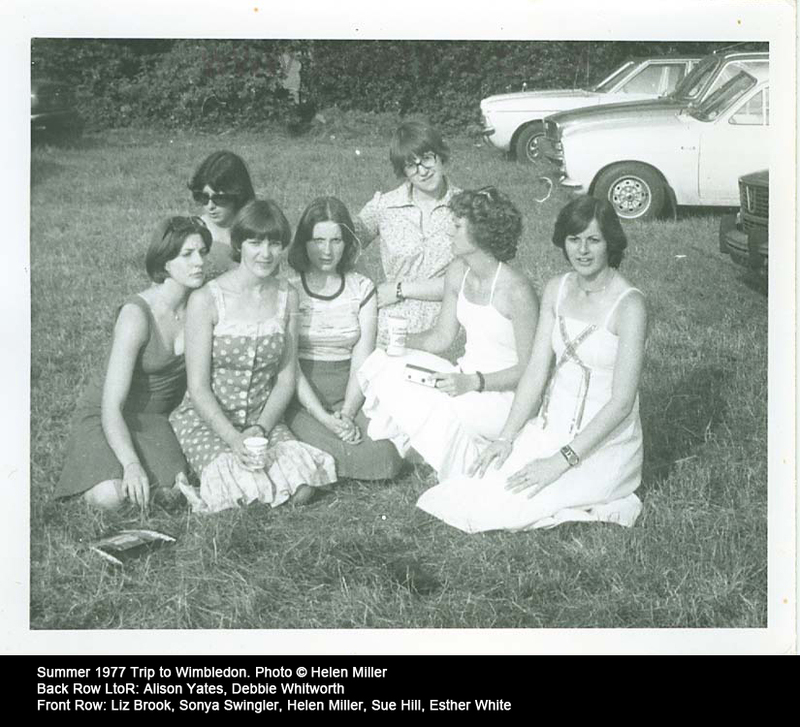 Nina is second from the right - immediately behind the chairs (she is either sitting or kneeling!). 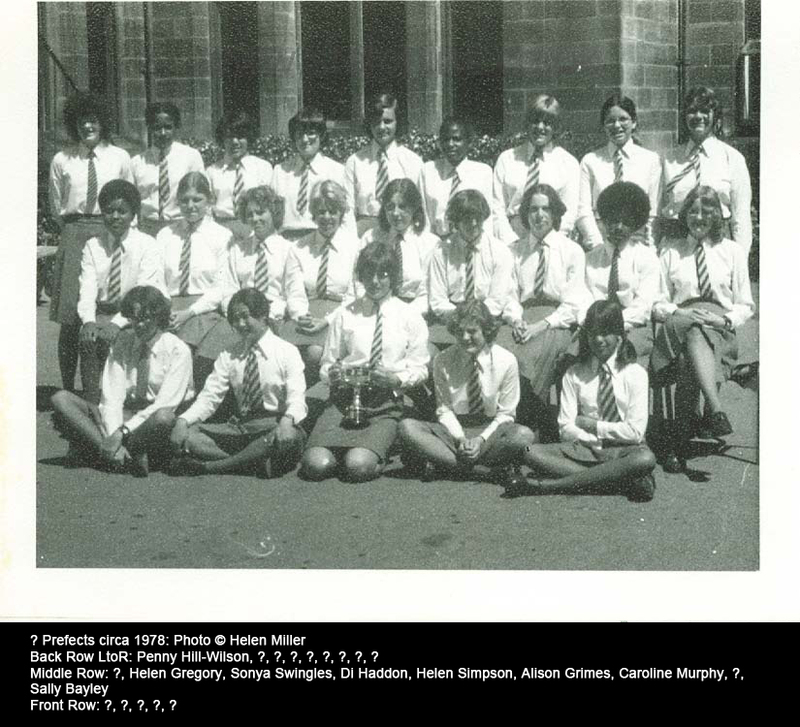 On the right behind the chairs with school tie on is Lesley Nicol (Mrs Patmore in Downton Abbey!). 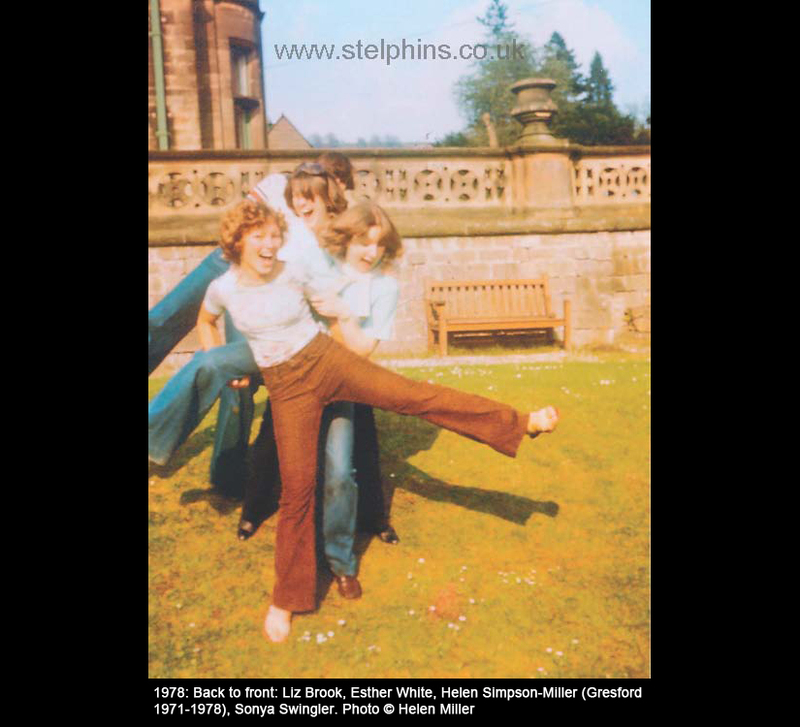 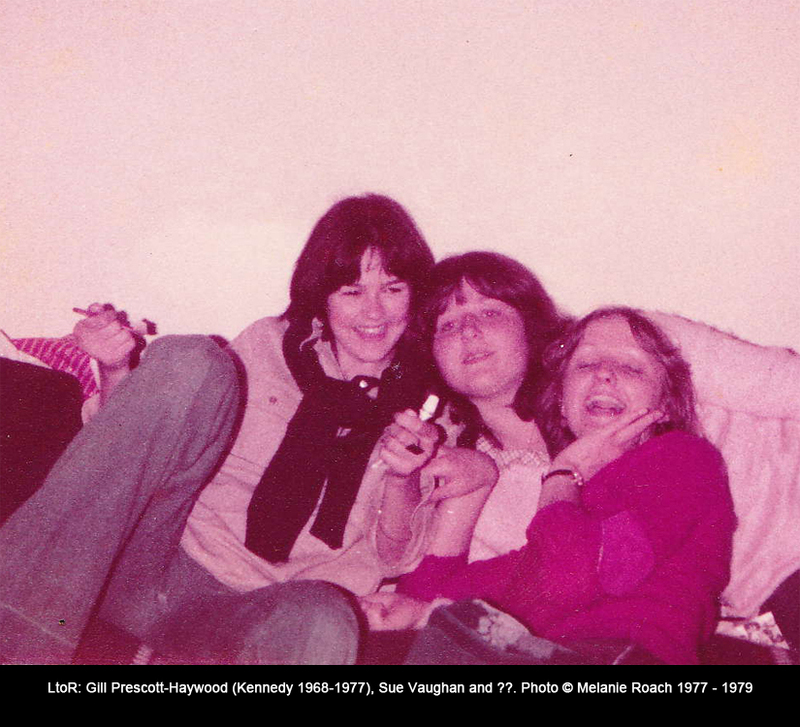 1970s Photos – Please click on image below to see 48 photos from the 1970s! 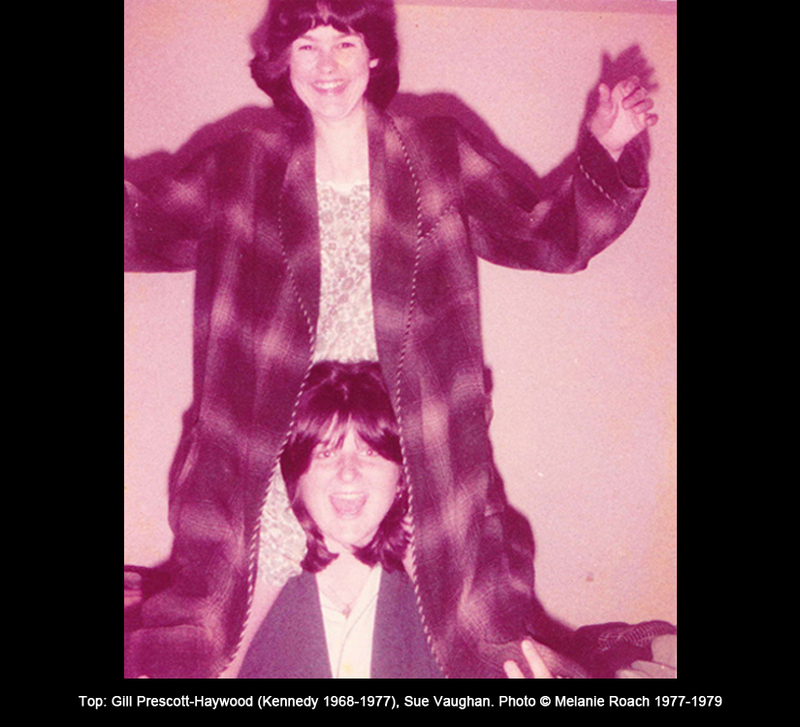 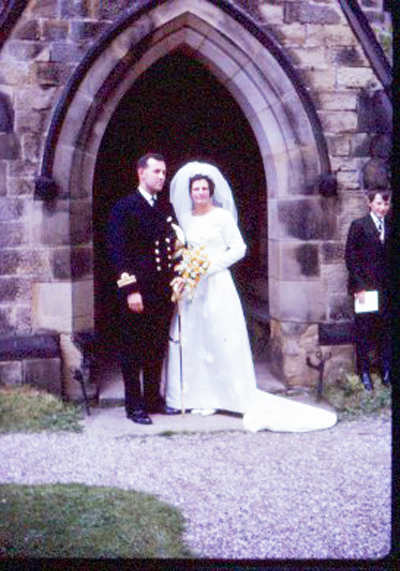 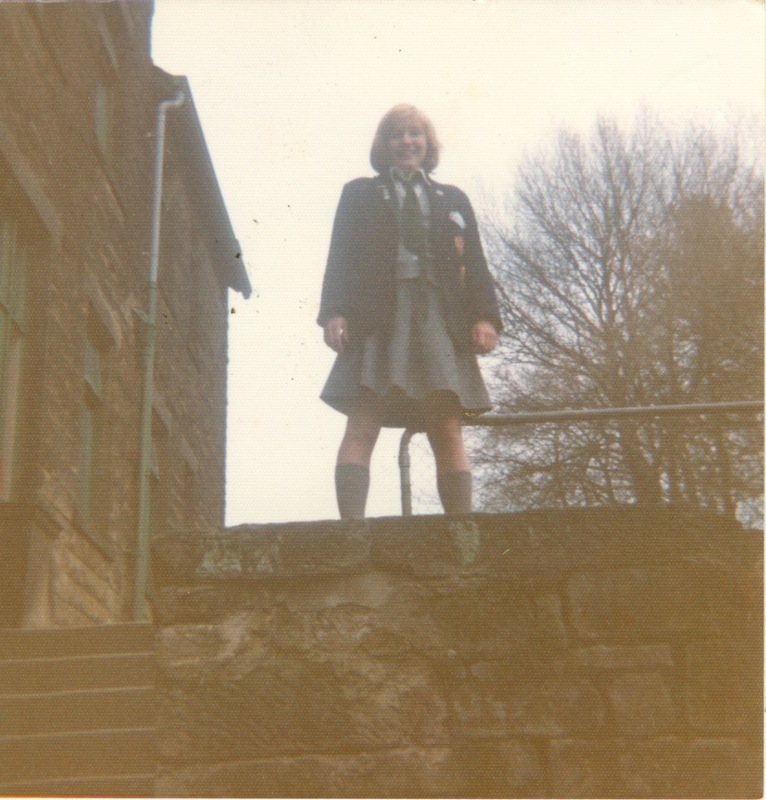 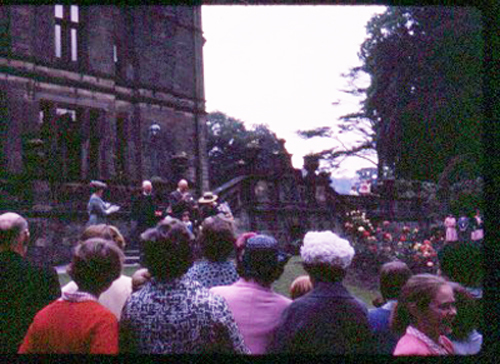 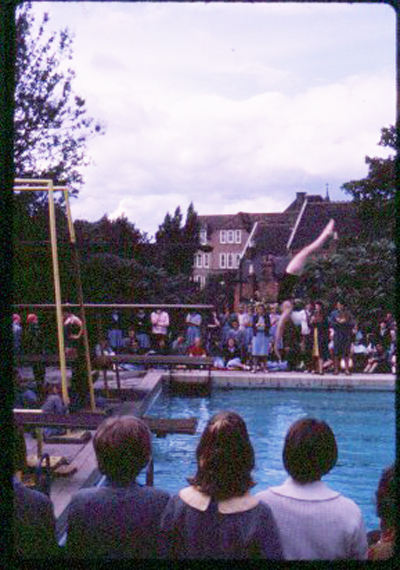 In addition to the above photograph albums, Liz has also found a 2-minute cine film from the early 1970s of an afternoon tea visit with her parents to Chatsworth Park and The Old Bakewell Pudding Shop, plus a couple of races on Sports Day. 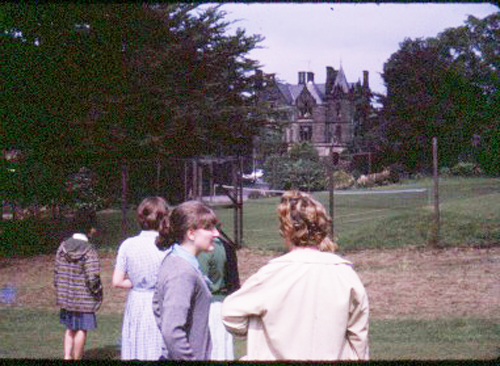 Thanks to Mike Donlan, the standard-8 cine film has been transferred to video and can now be seen here. 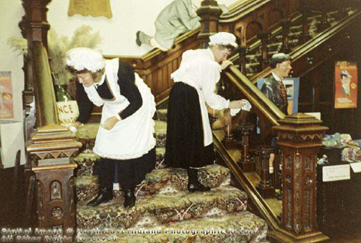 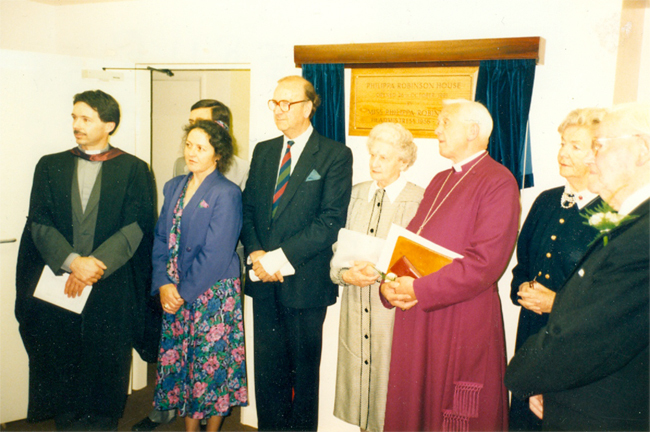 Above: Opening of Philippa Robinson House – 26th October, 1991. 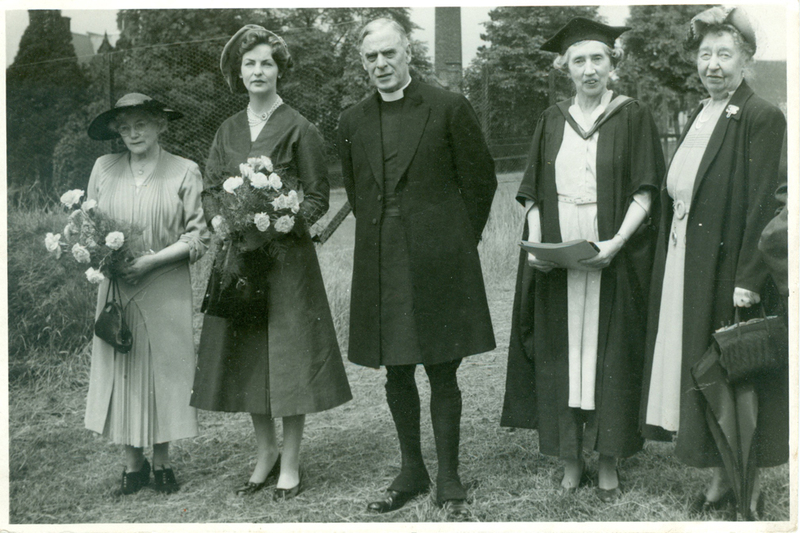 LtoR: Rev Owen; ? 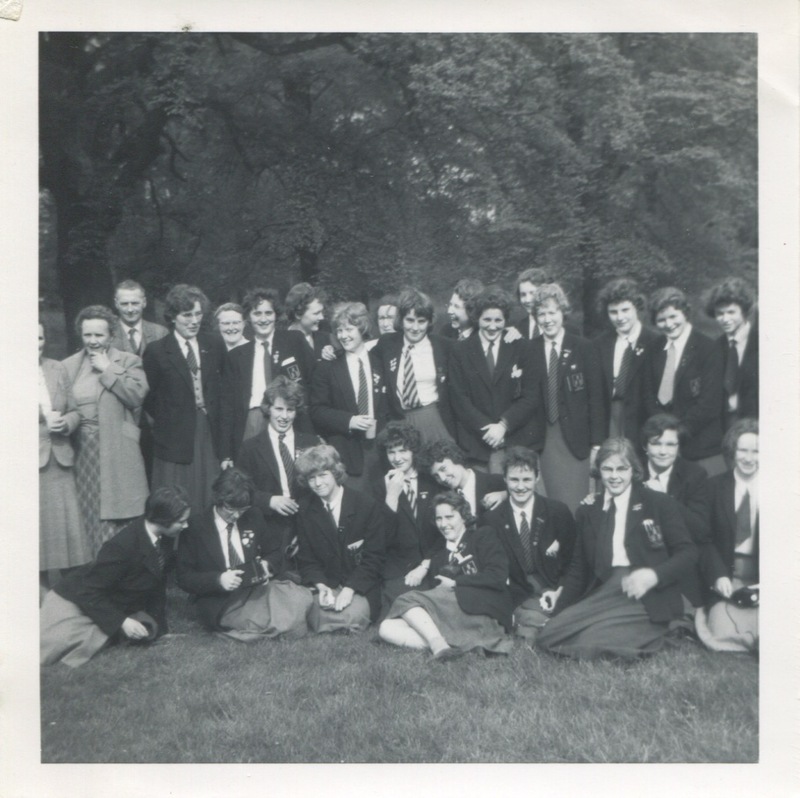 gentleman at back; ? 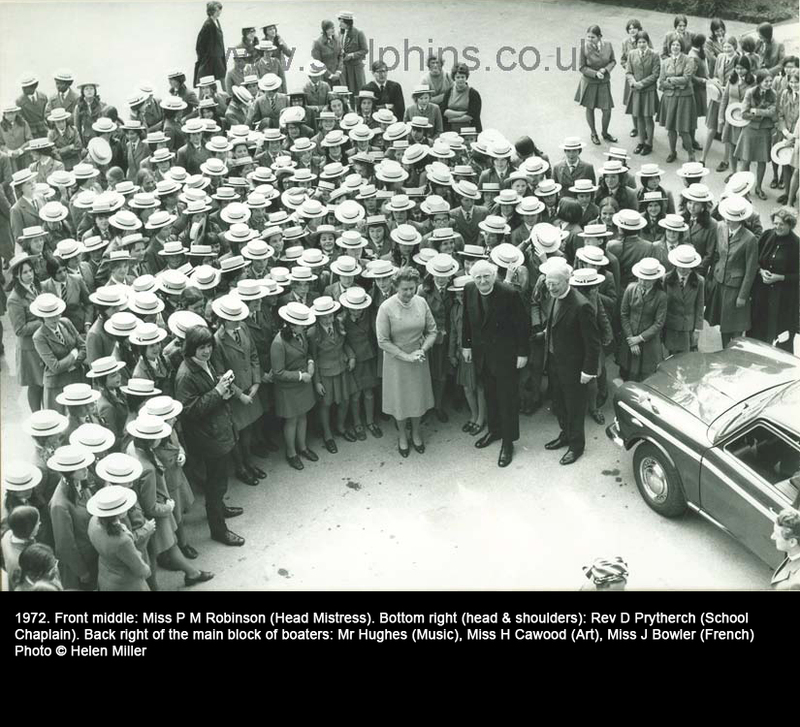 ; Colonel Hobbs, Bursar; Miss P M Robinson (Head Mistress 1958 - 1975); Bishop ? 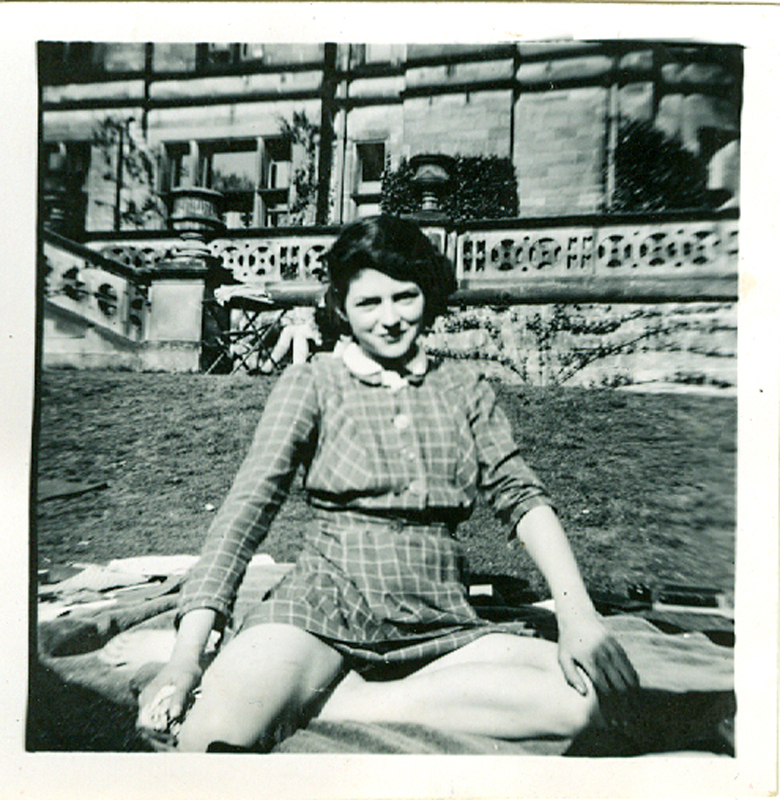 ; Duchess of Devonshire; ?. 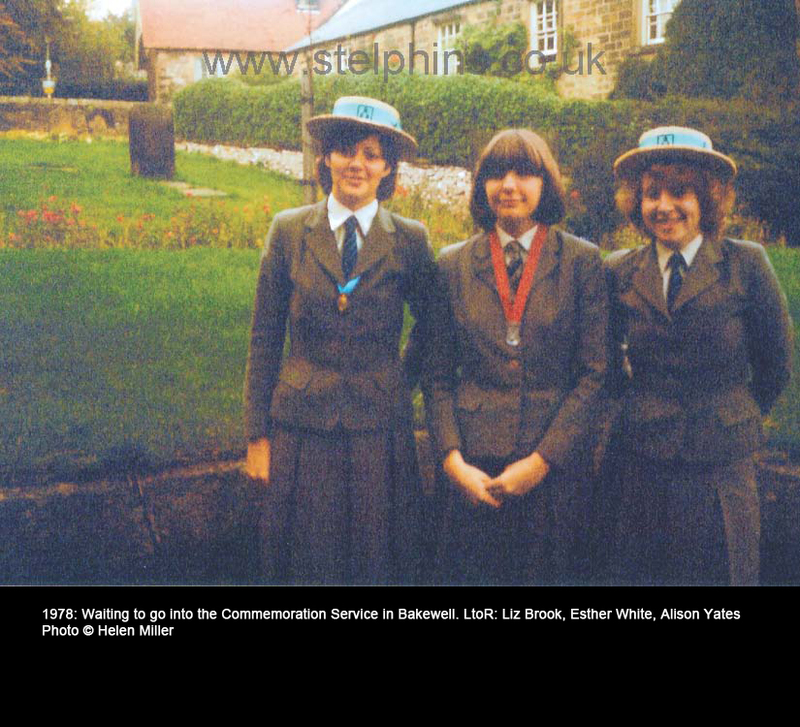 Photo supplied by Christine Tew. 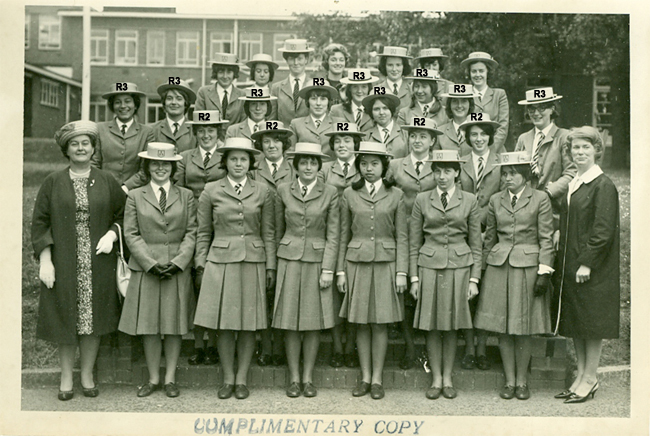 Please click on photo for larger version.